William Freeman, bap. 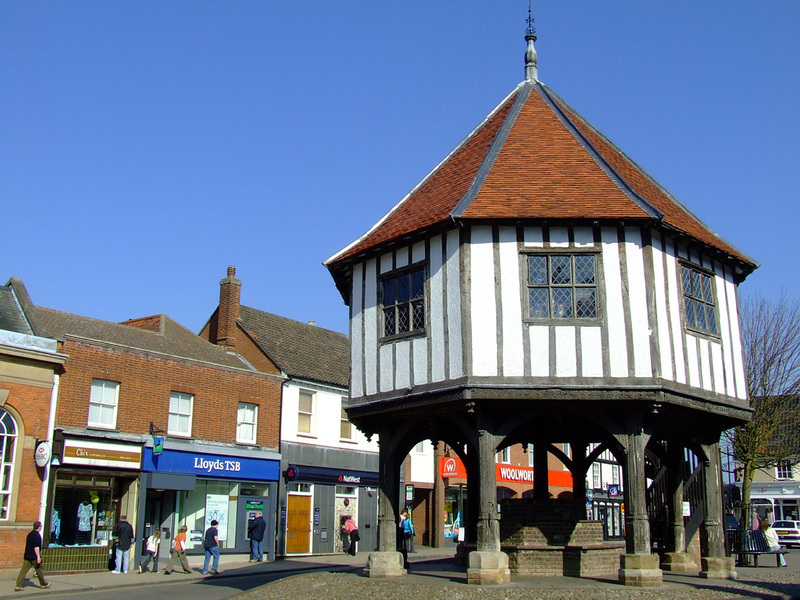 Attleborough, Norfolk 1581. 10th great grandfather. Allen Lampkin, bap. 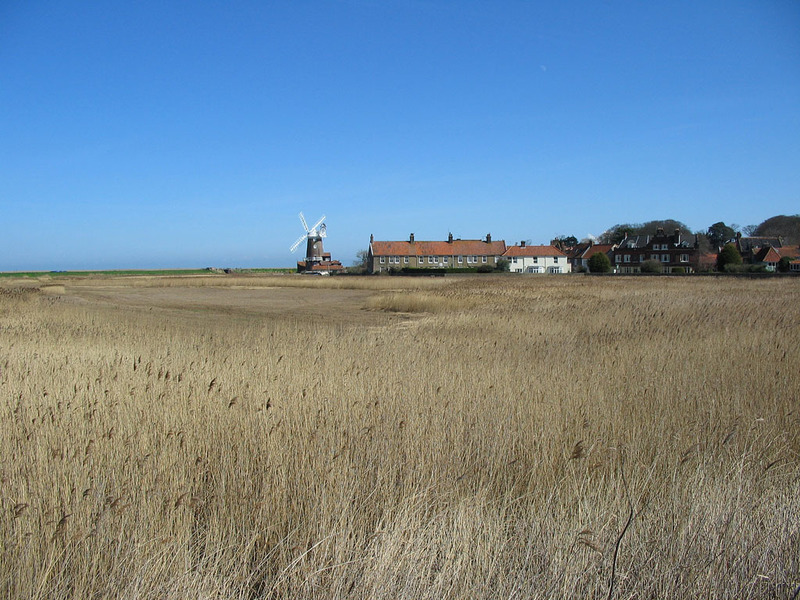 North Creake, Norfolk 1573. 11th great grandfather. Samuel Sayer. bap. 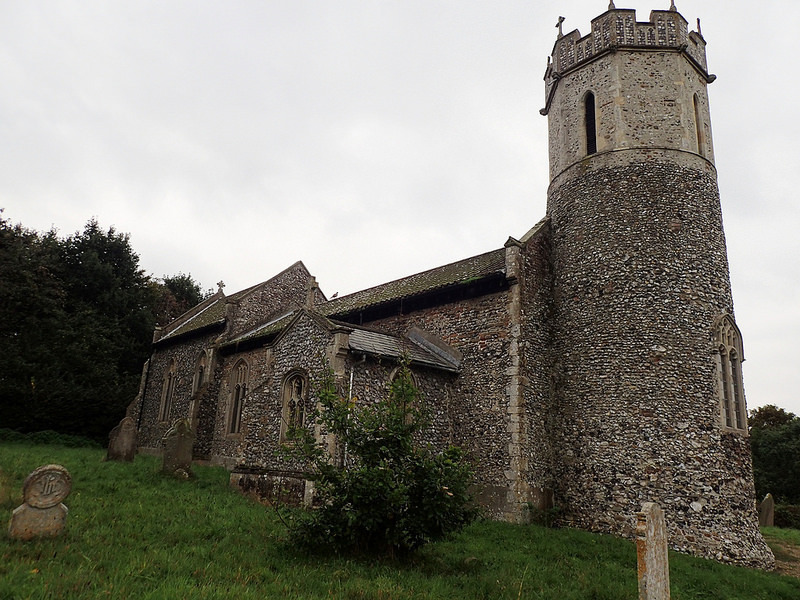 Pulham St Mary, Norfolk 1581. 10th great grandfather. ]]> Paul Brooker tag:paulbrooker.posthaven.com,2013:Post/1378872 2019-02-26T17:20:01Z 2019-04-17T15:43:12Z The Sleeve Tattoo Project - Progress. 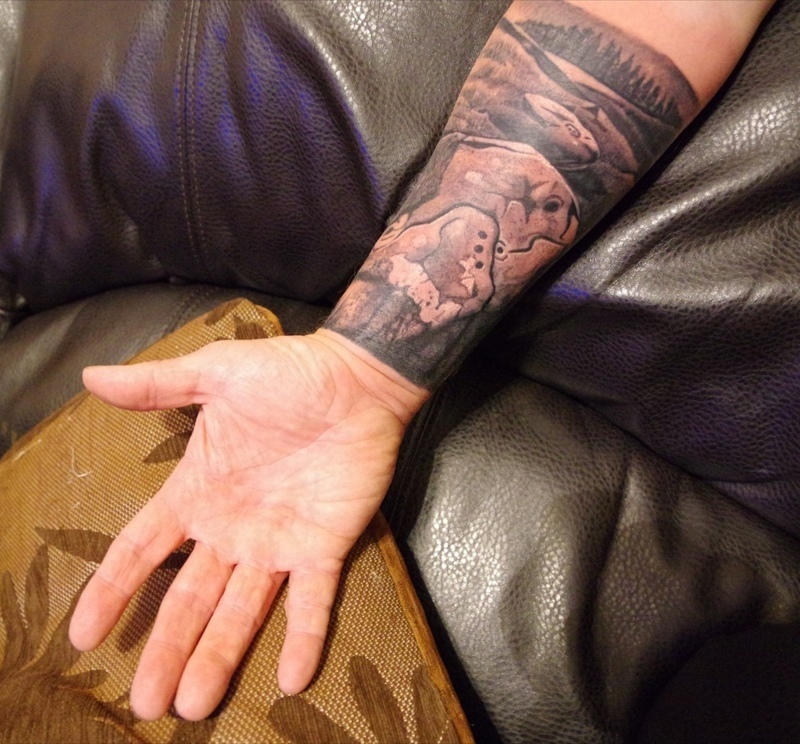 Black and grey realism work by Ross Lee of Ink Addiction tattoo studio in Norwich. 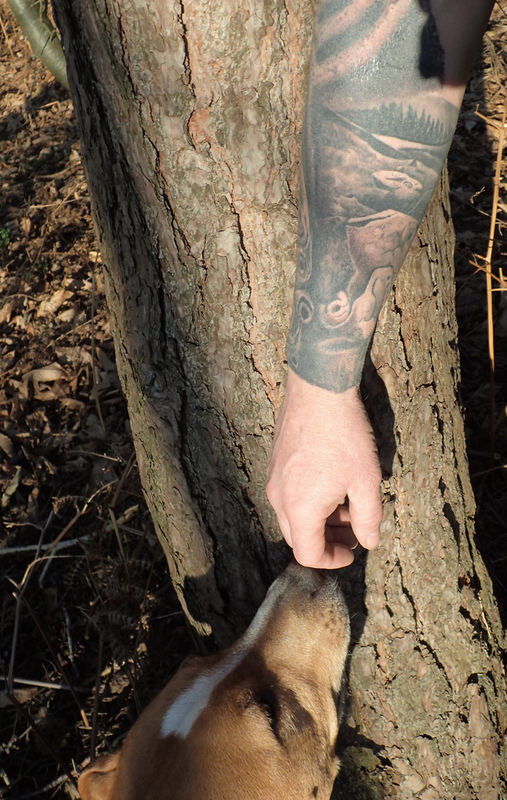 This is a partial phase of a full sleeve project on my right arm and shoulder. Hopefully complete by Autumn 2019. If you can't see it - then you're not a NW European prehistorian. It's a British landscape scene, with boulder rocks in the foreground. On those rocks are a series of carvings pecked into rock, during the Later Neolithic and Earlier Bronze Age. They consist of a class of Rock Art markings known as cups and rings, or cup and ring markings. ]]> Paul Brooker tag:paulbrooker.posthaven.com,2013:Post/1375029 2019-02-16T22:05:52Z 2019-04-20T15:39:52Z Ancestors at Postwick, Norfolk. 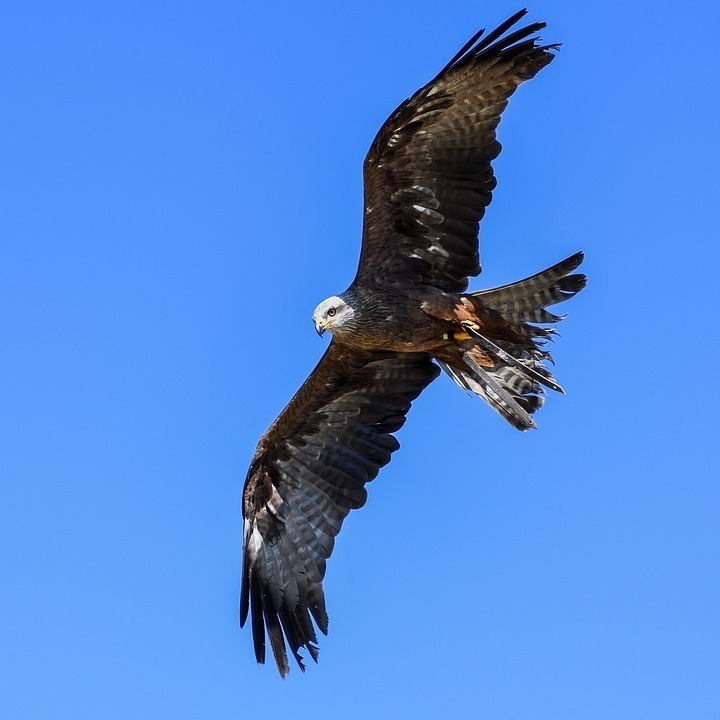 Illegitimacy and suicide. ]]> Paul Brooker tag:paulbrooker.posthaven.com,2013:Post/1332685 2018-10-15T21:40:05Z 2018-10-15T21:43:53Z The Sleeve Tattoo - first phase. 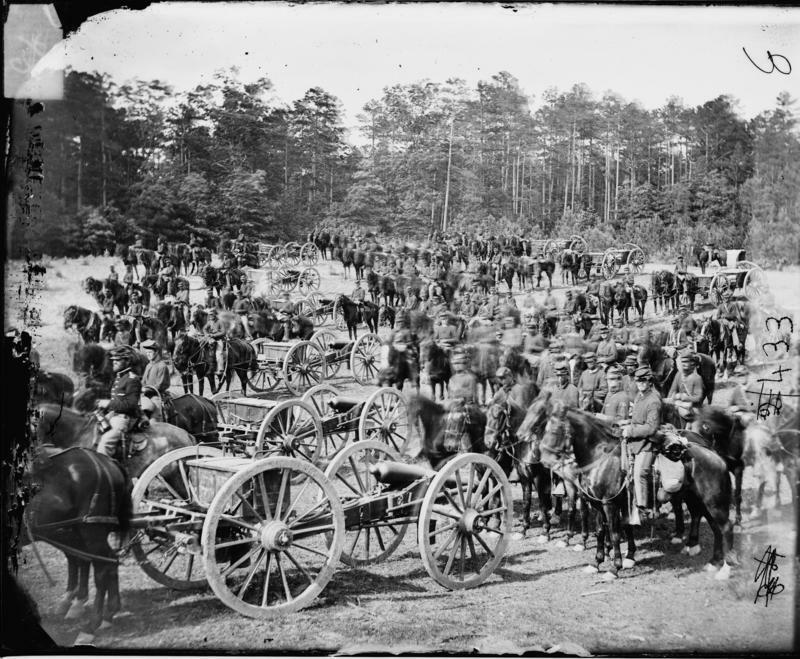 Union artillery. American Civil War. 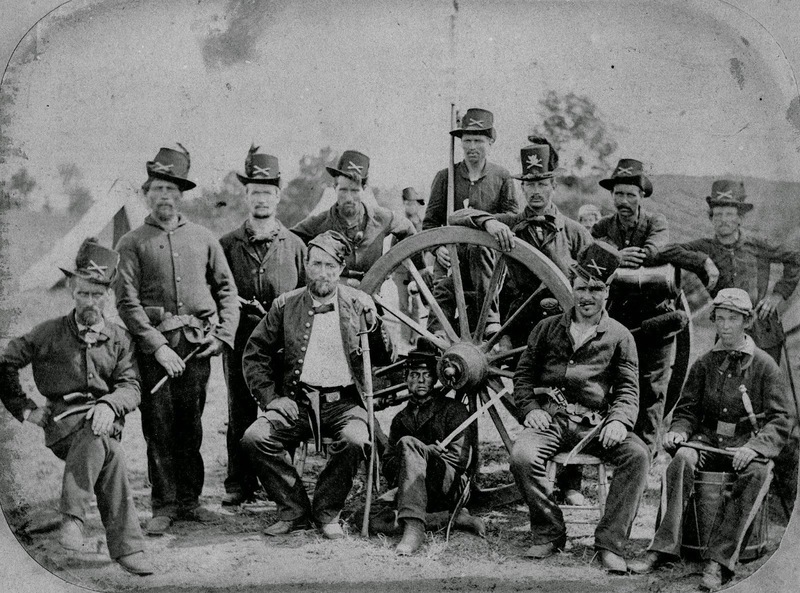 I could call this post "What My Norfolk-English Family did in the American Civil War". 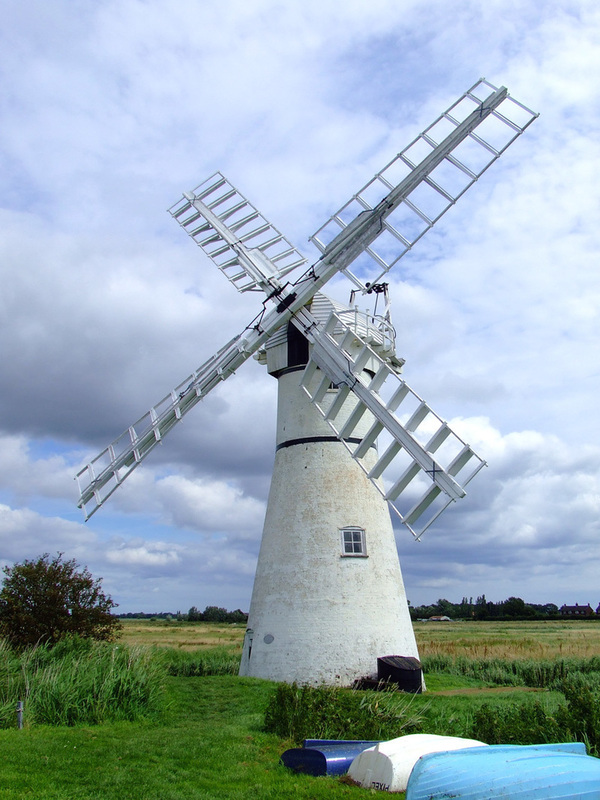 3rd January, 1838, Thomas Shorten, a local 20 year old, poor agricultural labourer, married 19 year old Rebecca Rose in her home parish of Strumpshaw in Norfolk, England. Thomas himself was born nearby in the small parish of Southwood, where incidentally, my mother was born some 140 years later. We don't move far in our family line. Rebecca was the 4th great aunt of my mother. Through my mother, I myself am descended not only from Rebecca's parents, John and Martha Rose (nee Rowland), but also from her uncle and aunt Henry and Margaret Rose (nee Ling). 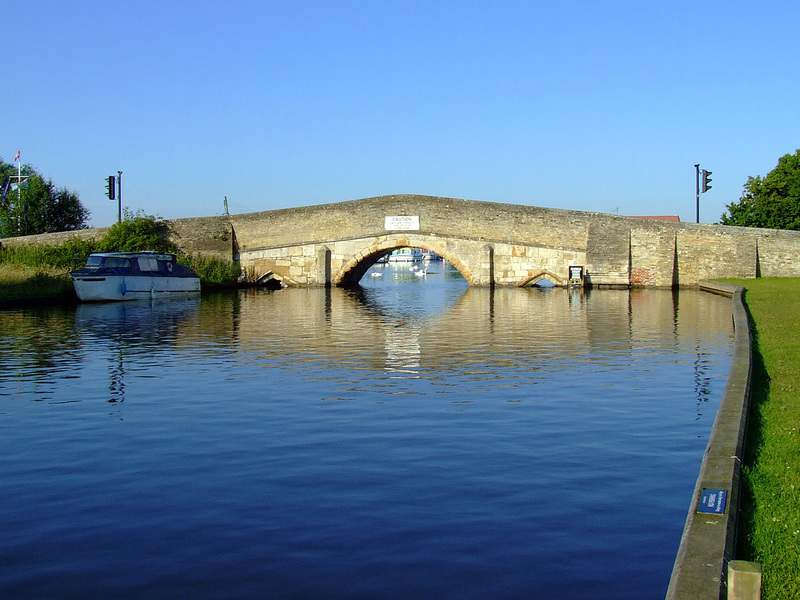 I am descended from Rebecca's grandparents, Henry and Mary Rose (nee Gorll) of Loddon, Norfolk - twice over. These were incredibly tough times for the agricultural working classes in East Anglia. Enclosure had disenfranchised them from their ancestral land. The land had become privatised. The threshing machine and other new technologies then made even their labour surplus to requirement. Poverty was made a crime through the Poor Laws. My family line were the ones that stayed here - but as I research my family history, so I come across time after time, how many of their siblings and cousins were forced to leave East Anglia, to seek a new life in London, the North of England, or abroad in places such as Australia, New Zealand, Canada, or the USA. This is the story of one of those families. 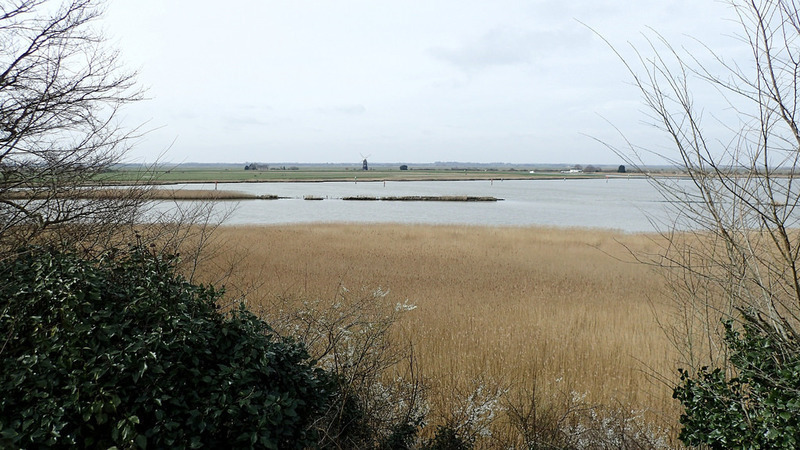 The couple moved from Strumpshaw some fourteen miles north, to a similar Broadland water side landscape at Barton Turf - a small and old parish adjacent to Barton Broad and to the River Ant in Norfolk. Maybe Thomas had found precious employment there at a labour fair, or at a market. There at Barton, it appears that Rebecca gave birth to at least four children between 1843 and 1849 - Rebecca, Thomas, George, and Sarah Ann. Thomas supported his young family as best as he could - selling his labours and skills to local farmers. 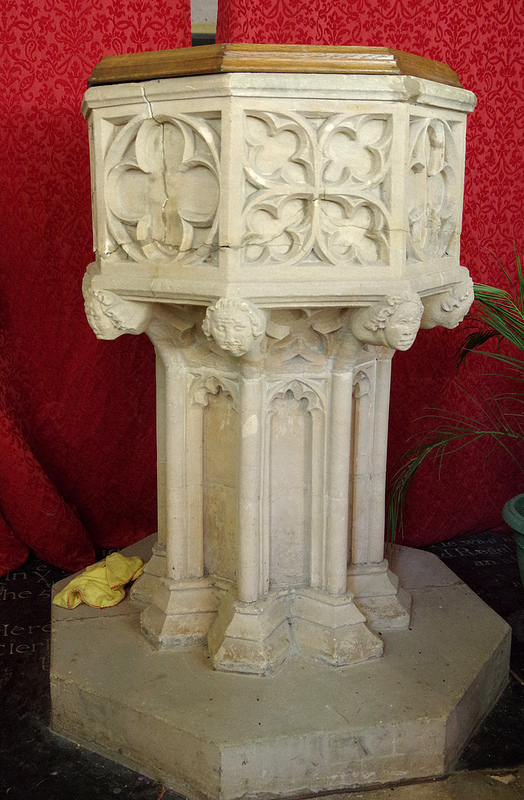 Their children were baptised, not always immediately, at the local Anglican church, the medieval church of St Michael & all Angels. 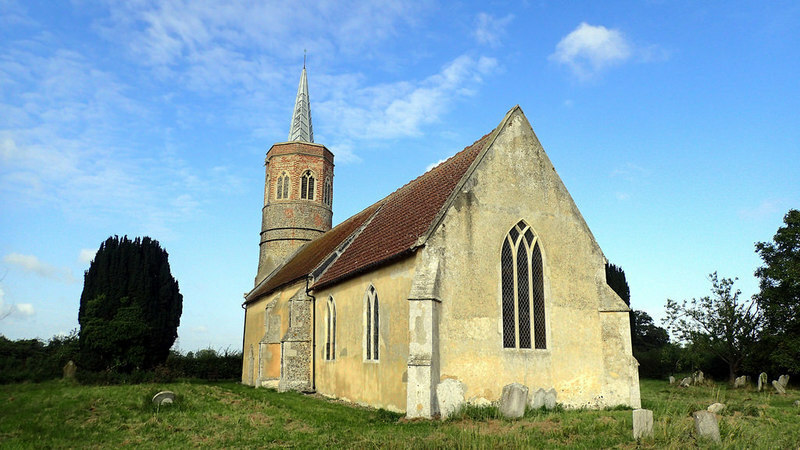 The growing family appear to have made a small move to the next parish of Irstead - south of Barton Broad. They lived on the Low Road which I believe was near to the rectory and church at Irstead Staithe, alongside the small River Ant. 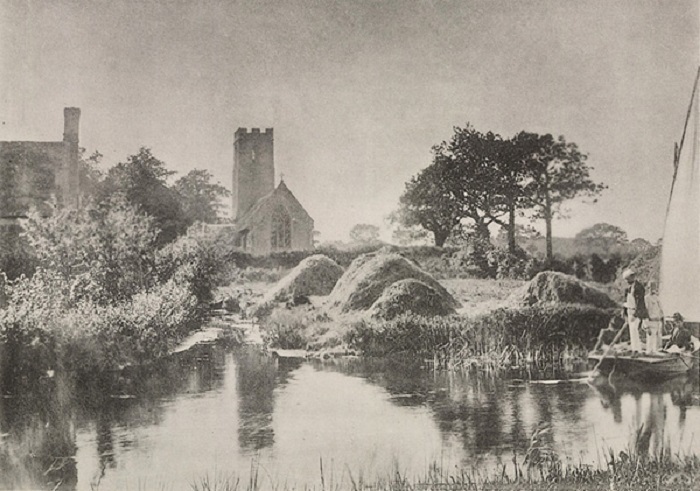 The photo of Irstead Church at the top of this post was taken late into the 19th Century from across that river. 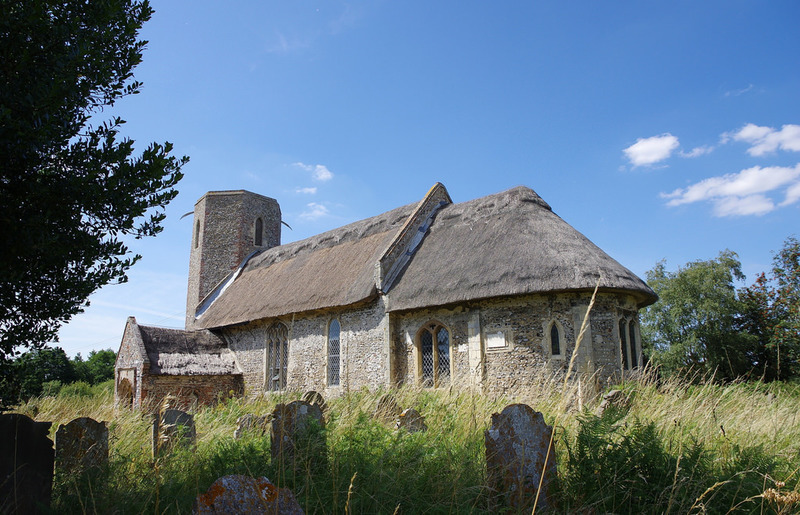 A lovely medieval thatched roofed Norfolk church dedicated to St Michael. 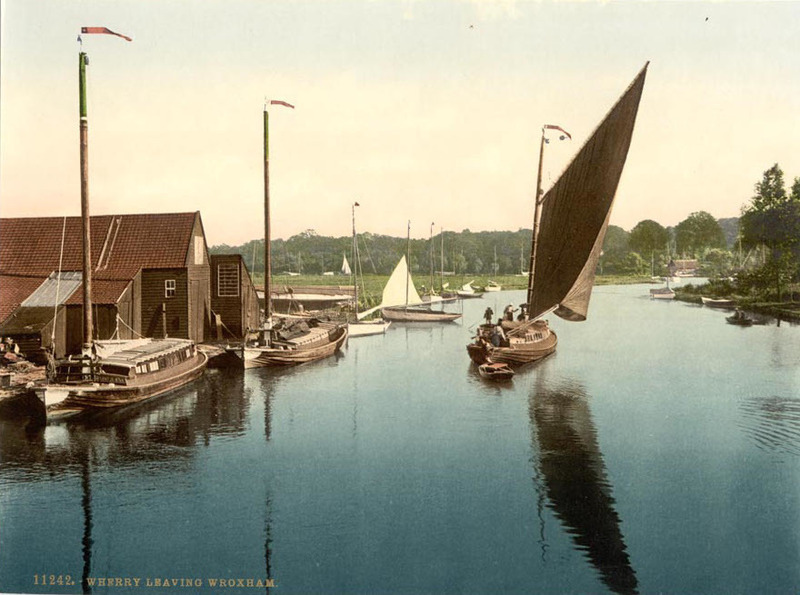 Perhaps the family moved along that river on the sailing vessels that passed along, mastered by watermen or a little later, by the wherrymen of Norfolk fame. At Irstead, Rebecca gave birth to at least four more sons between 1849 and 1854: Henry, Alfred, Robert, and John Shorten. By the end of that period, they had to feed and to support a total of eight children. The pressure must have been immense. They most likely lived in a squalid tied cottage, with no running water. The children would have been expected to contribute to income or house work as soon as they were old enough. Boys were expected to earn money in simple agricultural work from around the age of six. Around 1855 the entire family sailed from England to New York. I have most of them on passenger lists arriving at New York. Most of them on one voyage, paid with bonded labour. 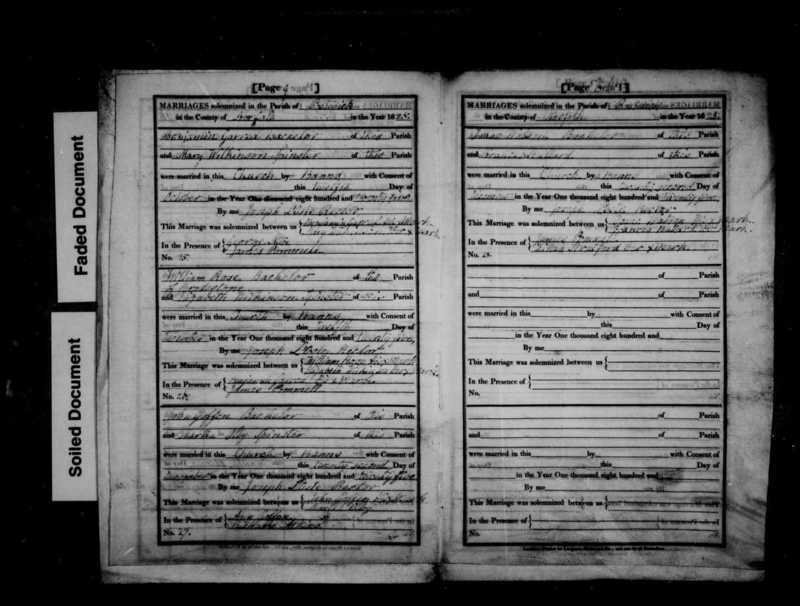 New York Passenger List (for some reason the children here were being accompanied by a Mary - although this may have been their mother Rebecca Shorten?). 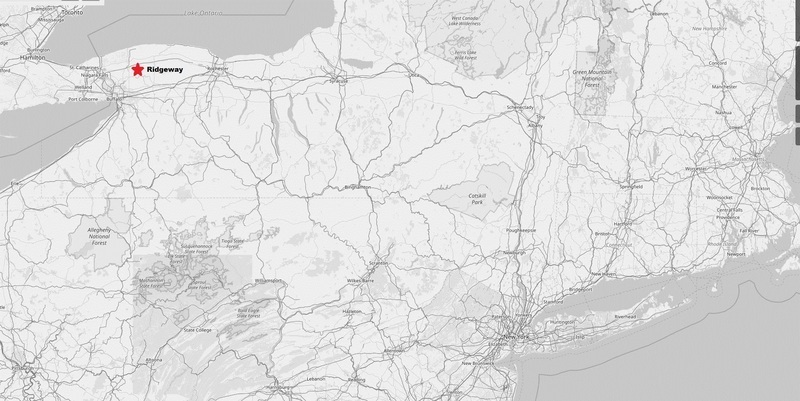 The family appear then to move westwards across New York State, to the township of Ridgeway in Niagara County. They were now an East Anglian-American family. In the 1860 US Census, Thomas and Rebecca, age 51 and 52, are living in the town of Hartland, Niagara, New York. They have with them George, age 21, Sarah Ann, age 18, Henry, age 16, Frederick (Alfred), age 12, and John, age 7 - all recorded as born in England. There is also a baby in the household - Priscilla, born in New York. Five years after the family arrived in the USA, the election of Abraham Lincoln, and threats to the slave economy of the Southern States, lead to the secession of a new Confederacy from the USA. The Lincoln government reacted with force. The Shorten family in Niagara County were not slow to come to the aid of the Unionist Government. They were now "Yankees". Their eldest son Thomas, age 24, enrolled in the Union army first - as soon as news reached Niagara - he joined the 28th Infantry Regiment of the New York Volunteers on the 11th May 1861. His younger brothers followed in 1862. George Shorten, age 23, Henry Shorten, age 18, and William Shorten, age 17 - all joined the same 25th independent battery, New York Volunteers Light Artillery in the August of that year. Four sons of Thomas and Rebecca were now fighting on the Union side in the American Civil War - four Norfolk sons. 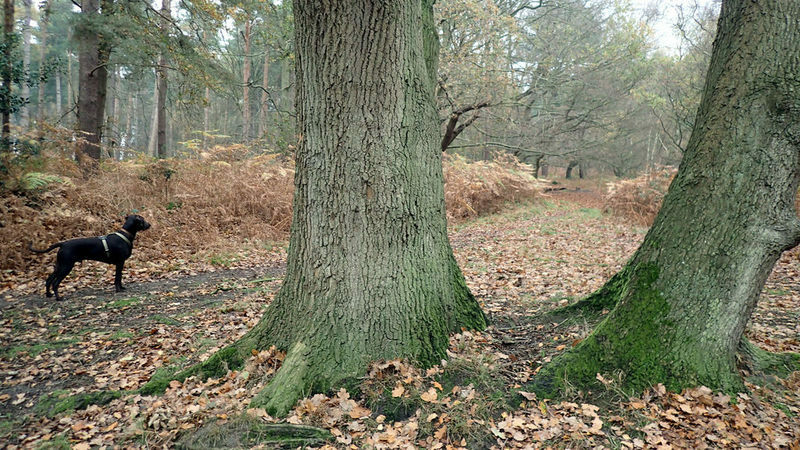 They grew up in sleepy quiet Irstead, Norfolk, next to the little River Ant. Now here they were, engaged in a terrible modern war thousands of miles away. Their Norfolk accents must have still been noticeable. But their patriotism to their new country undeniable. Their parents Thomas (senior) and Rebecca were living in Hartland, Niagara County, New York State at the end of the Civil War. The brothers returned there. However, five years later, the US 1870 Census records that Thomas (senior) and Rebecca Shorten, now in their early sixties, had moved far to the west, to their own farm in Clinton County, Illinois. 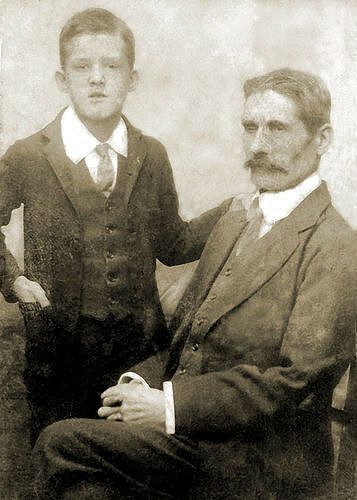 Their youngest sons, Alfred and John still with them. The poor labourer from Southwood parish had moved a long way. As for their older sons, I lose track of George after he appears at Hartland, County Niagara in 1865 - but Henry, and William all marry, and go on to father children in New York State. Thomas (junior) appears in the 1890 Civil War Veterans census in South Dakota, where he had been mustered. That's what my family did in the American Civil war. ]]> Paul Brooker tag:paulbrooker.posthaven.com,2013:Post/1321025 2018-09-12T16:51:20Z 2018-11-06T20:35:30Z 7th Great Grandparents. 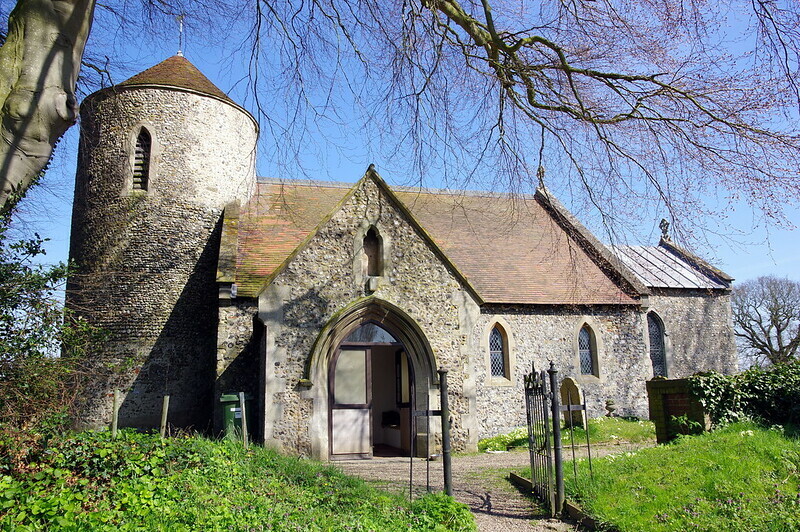 All of my recorded 7th Great Grandparents that I currently have on my tree lived here in South East England. They were born in Southern and Eastern England between 1650 and 1740. How many of my 7th great-grandparents can I currently name? John Brooker. b. 1691 Hagbourne, Berks. Ursula Brooker (née Deadman). b. 1690 Hagbourne, Berks. Thomas Gardiner b. 1689 Oxford, Oxon. Frances Gardiner (née ?) lived Hagbourne, Berks. Claridge Gregory. b. 1696 Drayton St Peter, Oxon. Mary Gregory (née Adams) b. Banbury, Oxon. Thomas Lock b. 1705 Witney, Oxon. Hannah Lock (née ?) lived Eynsham, Oxon. Sylvanus Seymour b. 1694 West Wycombe, Bucks. Sarah Seymour (née ?) lived Lewknor, Oxon. Robert Croxford b. 1704 Aston Rowant, Oxon. 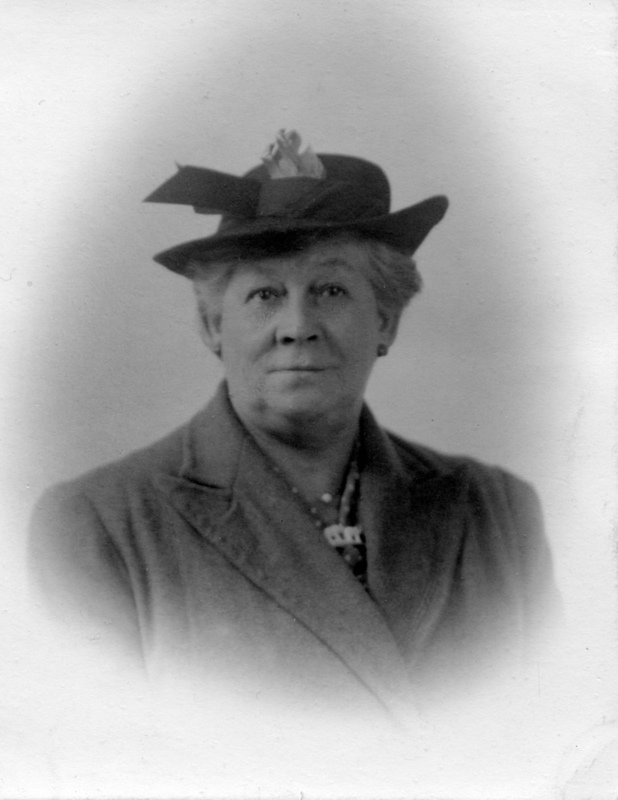 Ann Croxford (née North) b. 1712 Sydenham, Oxon. Robert Godfrey b. 1703 West Hanney, Berks. Frances Godfrey (née Collins) b. 1709 West Hanney, Berks. William Collins lived West Hanney, Berks. William Edney b. 1681 Witney, Oxon. Catharine Edney (née Hobbs) lived Oxford, Oxon. William Lawrence lived Deddington, Oxon. Mary Lawrence (née ?) lived Deddington, Oxon. Matthew Cruchfield lived Ipsden, Oxon. Elizabeth Cruchfield (née ?) lived Ipsden, Oxon. John Durran lived Steeple Aston, Oxon. Mary Durran (née ?) lived Steeple Aston, Oxon. 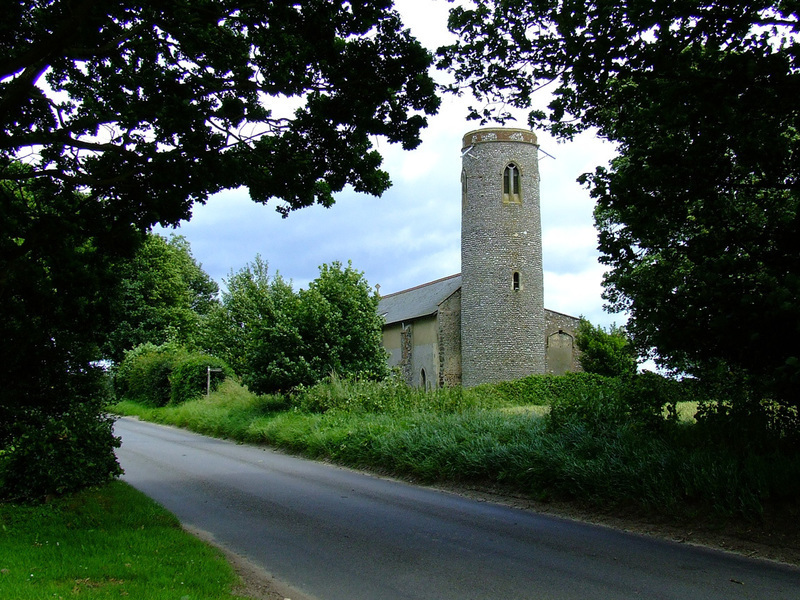 Robert Baxter lived North Elmham, Norfolk. Anne Baxter (neé Shackle) lived North Elmham, Norfolk. Richard Upcroft lived East Dereham, Norfolk. Mary Upcroft (née Rummer) b. 1694 East Dereham, Norfolk. Frances Liddlelow (née Harper) lived Welborne, Norfolk. John Barber lived Frettenham, Norfolk. Mary Barber (née ?) lived Frettenham, Norfolk. Solomon Harris b. 1702 Swanton Morley, Norfolk. Mary Harris (née Ayers) lived Swanton Morley, Norfolk. Allen Bradfield b. 1719 Castle Acre, Norfolk. Rachel Bradfield (née Rosier) b. 1709 Watton, Norfolk. John Smith married 1686 at Deopham, Norfolk. Mary Smith (née Majoram) lived at Depham, Norfolk. Thomas Freeman b. Attleborough, Norfolk. Elizabeth Freeman (née ?) lived Attleborough, Norfolk. Robert Rippon b. 1671 Ufford, Northants. Mary Rippon (neé Bradshaw) b. Oundle, Northants. Christopher Saunderson lived Maxey, Northants. Alice Saunderson (née ?) lived Maxey, Northants. Robert Sandall b. Haconby, Lincs. Anne Sandall (née ?) lived Morton near Bourne, Lincs. Robert Merring lived Morton near Bourne, Lincs. Alice Merring (née Rogers) lived Morton near Bourne, Lincs. Robert Harrison b. 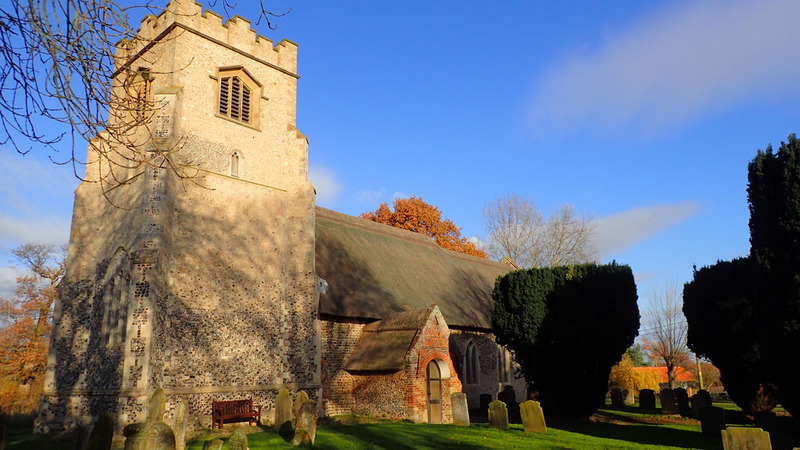 1672 Old Buckenham, Norfolk. 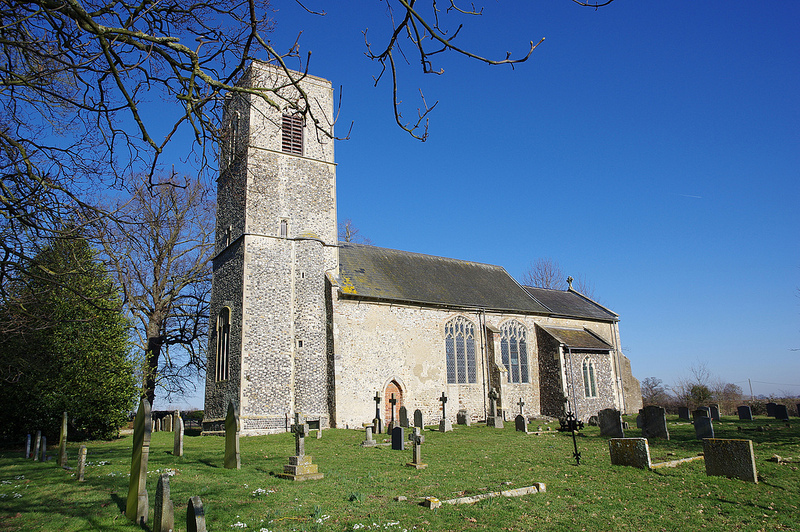 Martha Harrison (née Wick) lived Old Buckenham, Norfolk. John Websdal b. 1701 Tibenham, Norfolk. Mary Websdal (née ?) lived Tibenham, Norfolk. 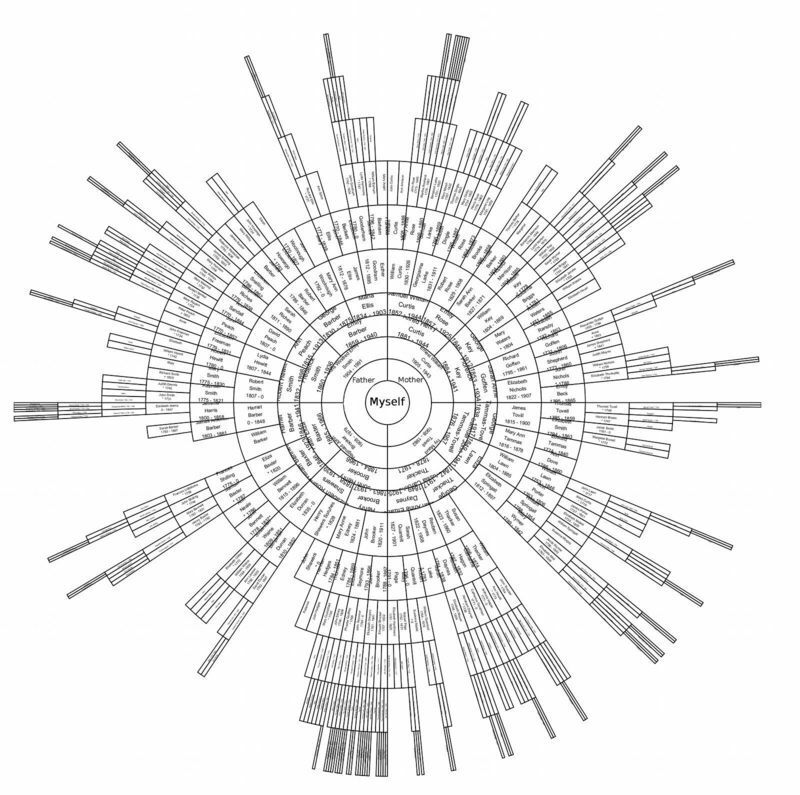 Cornelius Brothers b. 1687 Wilby, Norfolk. Maria Brothers (née ?) lived Wilby, Norfolk. 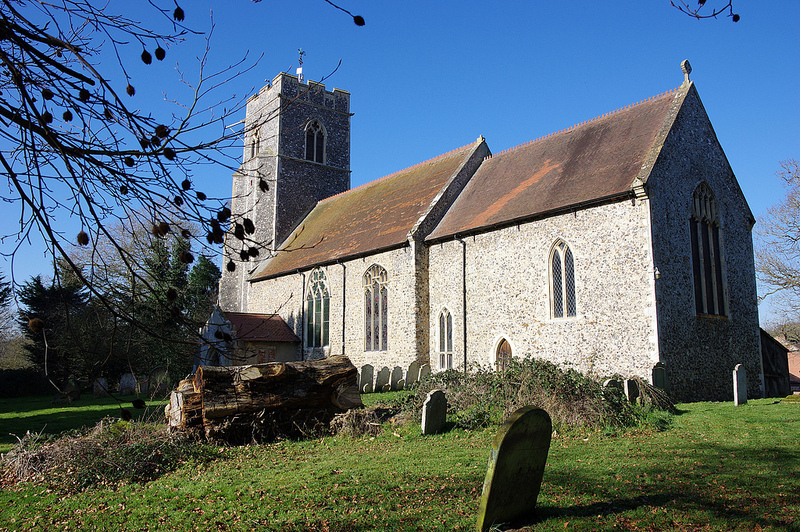 Margaret Housegoe (née Frances) lived Ditchingham, Norfolk. Richard Ellis b. 1677 Ditchingham, Norfolk. Ann Ellis (née Ashwell) lived Thurlton, Norfolk. Samuel Goodrum lived Bressingham, Norfolk. Barbary Goodrum (née ?) lived Bressingham, Norfolk. Richard Sayer b. 1675 Pulham St Mary, Norfolk. Mary Sayer (née ?) lived Pulham St Mary, Norfolk. 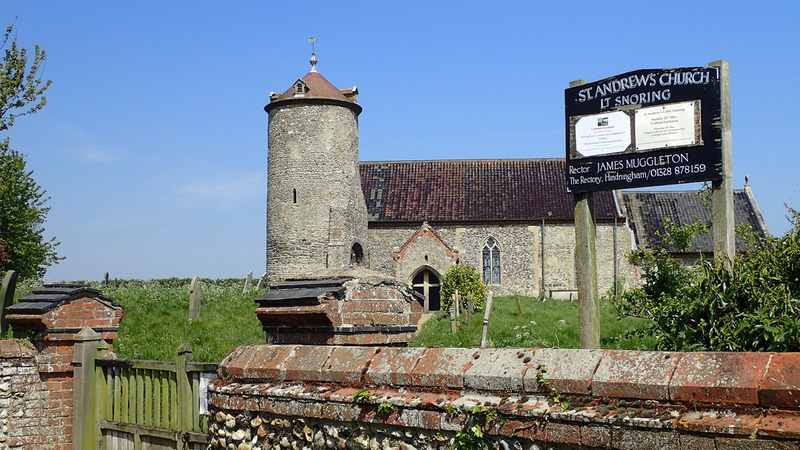 John Hammond lived Pulham St Mary, Norfolk. 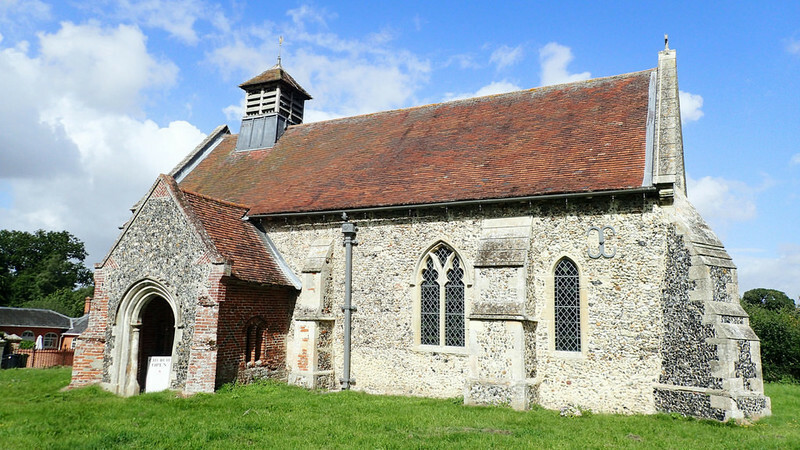 Robert Barham lived Rockland All Saints, Norfolk. Sarah Barham (née Rockland All Saints, Norfolk. Thomas Disdale married 1733 Snetterton, Norfolk. Susan Disdale (née Waller) b. 1710 Wramplingham, Norfolk. William Gaul lived Loddon, Norfolk. Descended from twice. Mary Gaul (née ?) 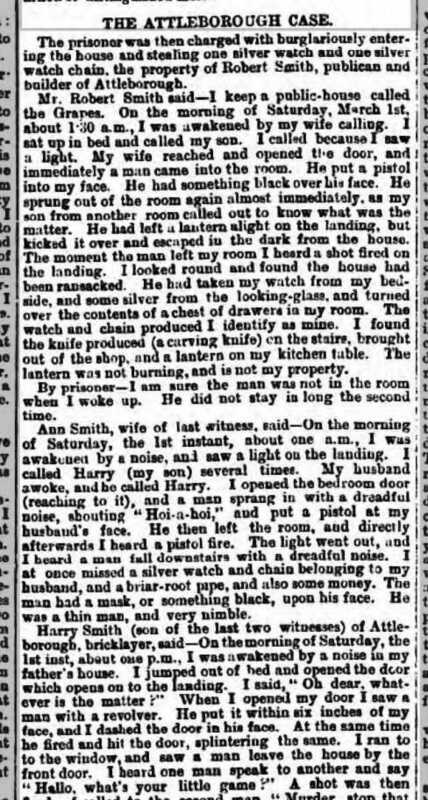 lived Loddon, Norfolk. Descended from twice. John Rowland b. 1724 Lingwood, Norfolk. Sarah Rowland (née Dawes) b. Cantley, Norfolk. Where my grandmother always lived when I would visit her in my childhood. 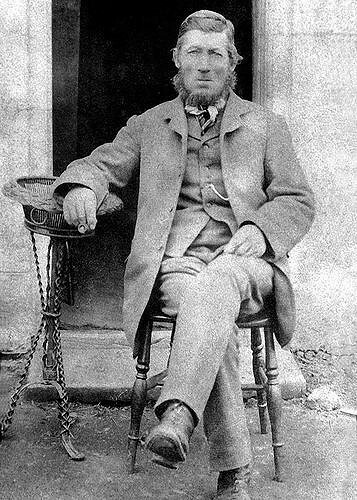 William Symonds lived Stokesby, Norfolk. Sarah Symonds (née Rix) b. 1725 Stokesby, Norfolk. John Larke b. 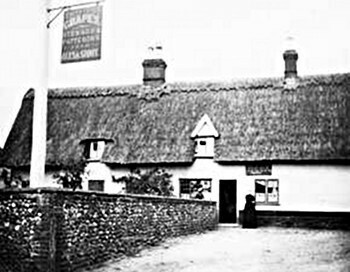 1668 Little Plumstead, Norfolk. Anne Larke (née Porter) b. 1681 Loddon, Norfolk. William Ginby lived Salhouse, Norfolk. Susan Ginby (née ?) lived Salhouse, Norfolk. William Gaul lived Loddon, Norfolk - Descended from twice. Mary Gaul (née ?) lived Loddon, Norfolk - Descended from twice. Henry Wilkinson married 1746 Filby, Norfolk. Mary Wilkinson (née Cousins) lived Hemblington, Norfolk. Susannah Norton (née Breeze) lived Bramerton, Norfolk. Robert Wymer b. 1694 Norwich, Norfolk - Descended from twice. Ann Wymer (née Sarles) lived Norwich, Norfolk. John Briggs b. Hedenham, Norfolk. Mary Briggs (née ?) lived Earsham, Norfolk. Robert Yallop lived Strumpshaw, Norfolk. Susan Yallop (née ?) lived Strumpshaw, Norfolk. Alexander Goffen b. 1647 Catfield, Norfolk. Mary Goffen (née ?) lived Ormesby, Norfolk. John Maye lived Little Plumstead, Norfolk. Judah Maye (née ?) lived Little Plumstead, Norfolk. Richard Gibbs b. 1686 Potter Heigham, Norfolk. Ann Gibbs (née ?) lived Hickling, Norfolk. Nicholas Shrieve b. 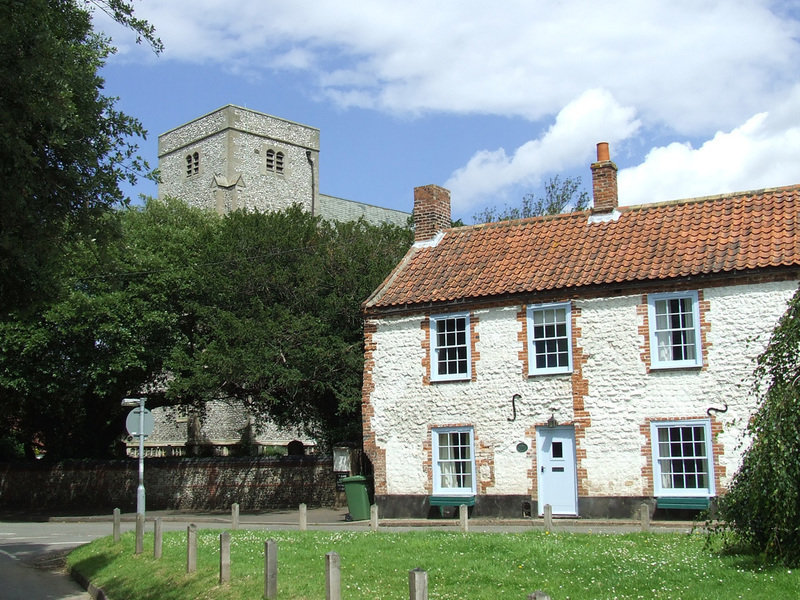 1700 Stokesby, Norfolk. Mary Shrieve (née ?) lived Upton with Fishley, Norfolk. 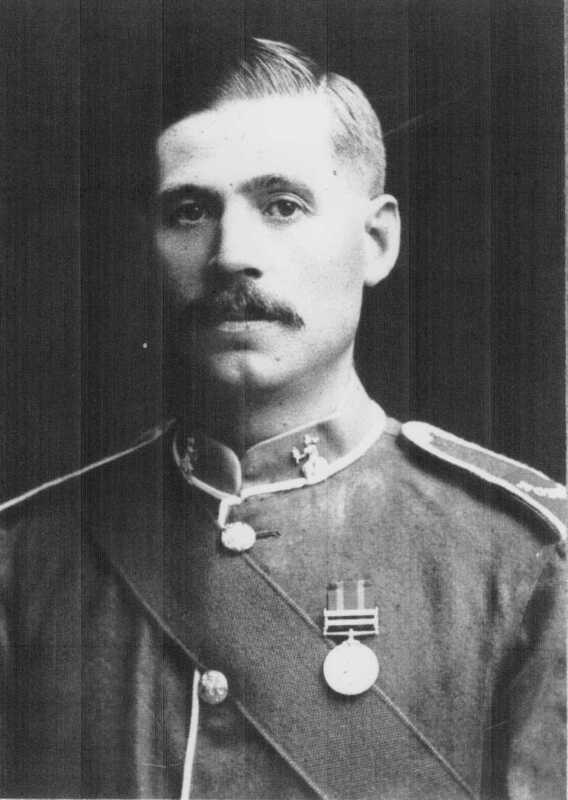 John Tovell b. 1702 Linstead Magna, Suffolk. Ann Tovell (née Spauldin) lived South Elmham, Suffolk. 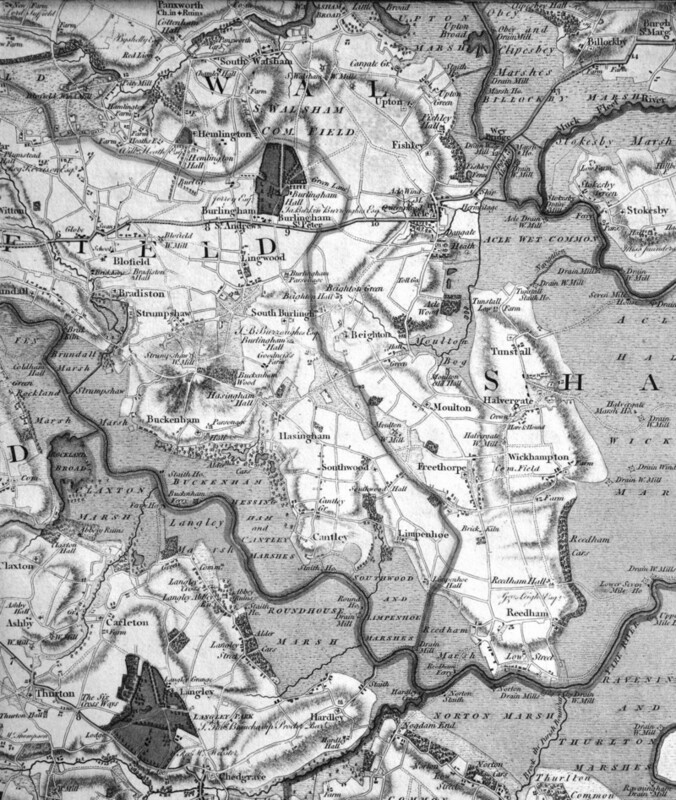 Daniel Brown lived Chediston, Suffolk. John Lawne b. 1663 Ranworth, Norfolk. Mary Lawne (née ?) lived Brooke, Norfolk. Peter Mallett lived Limpenhoe, Norfolk. Elizabeth Mallett (née Biggs) lived Limpenhoe, Norfolk. Mary Griffen (née ?) lived Limpenhoe, Norfolk. Robert Wymer b. 1696 Norwich, Norfolk - Descended from twice. Ann Wymer (nee Sarles) lived in Norwich, Norfolk - Descended from twice. Abraham Moll b. Edingthorpe, Norfolk. Elizabeth Moll (née Holser) lived Ranworth, Norfolk. Job Johnson b. 1690 Great Yarmouth, Norfolk. Mary Johnson (née ?) lived Great Yarmouth, Norfolk. Charles Thacker lived at Hainford, Norfolk. Mary Thacker (née Neville) lived at Hainford, Norfolk. Andrew Gunton b. 1713 Woodbastwick, Norfolk. Elizabeth Gunton (née Witchingham) lived at Woodbastwick, Norfolk. Anthony Doughty b. 1710 East Dereham, Norfolk. Catherine Doughty (née Whitmore) lived Swanton Morley, Norfolk. William Goodman lived Westfield, Norfolk. Mary Goodman (née ?) lived Westfield, Norfolk. Isaac Daynes lived at Hethersett, Norfolk. Martha Daynes (née ?) 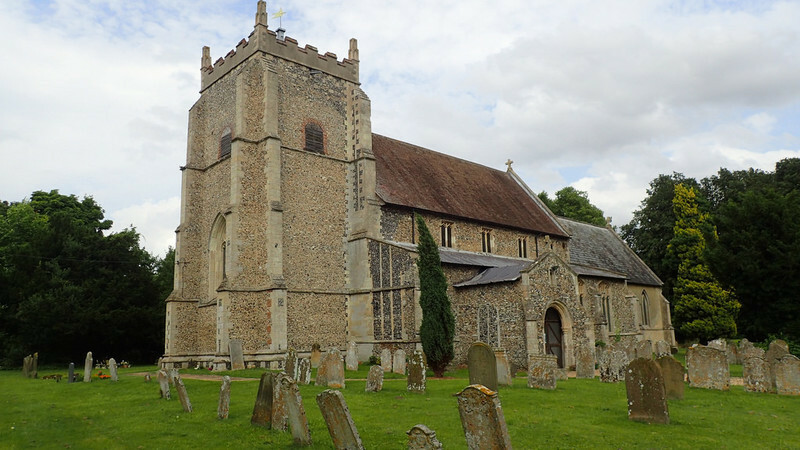 lived at Hethersett, Norfolk. William Moore b. 1683 at Hingham, Norfolk. Elizabeth Moore lived at Wymondham, Norfolk. Samuel Blasey b. 1700 Wymondham, Norfolk. 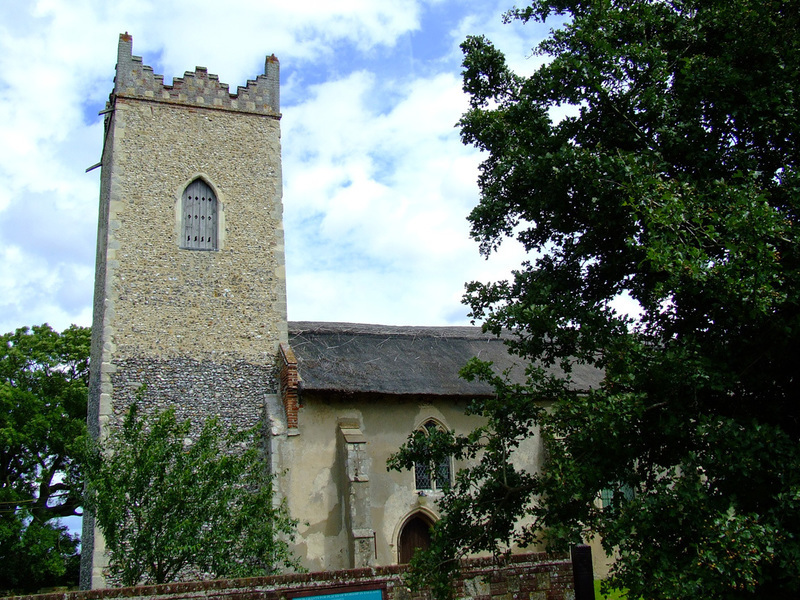 Bridget Blasey (née Lord) lived at Wymondham, Norfolk. 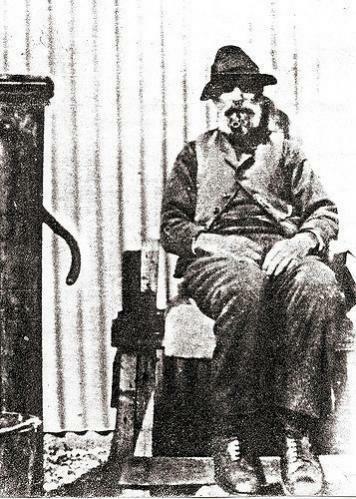 Francis Quantrill lived Wymondham, Norfolk. Sarah Quantrill (née Mendham) b. East Carlton, Norfolk. Thomas Page b.1690 Attleborough, Norfolk. Maria Page (née Hynds) b. 1707 Attleborough, Norfolk. 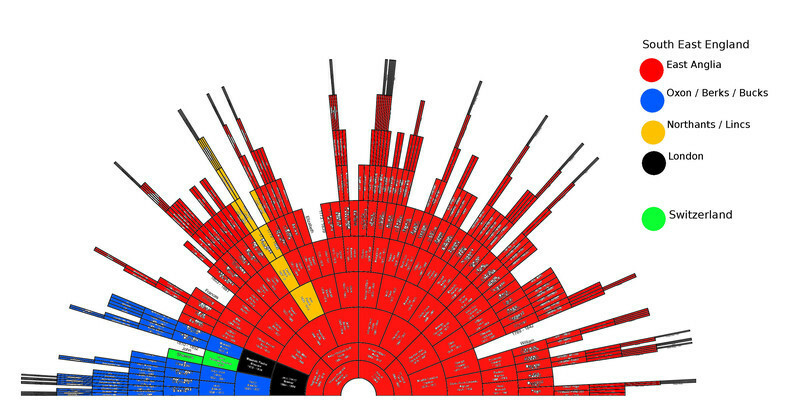 We all have 512 biological slots on Generation 10 (7th great-grandparents). 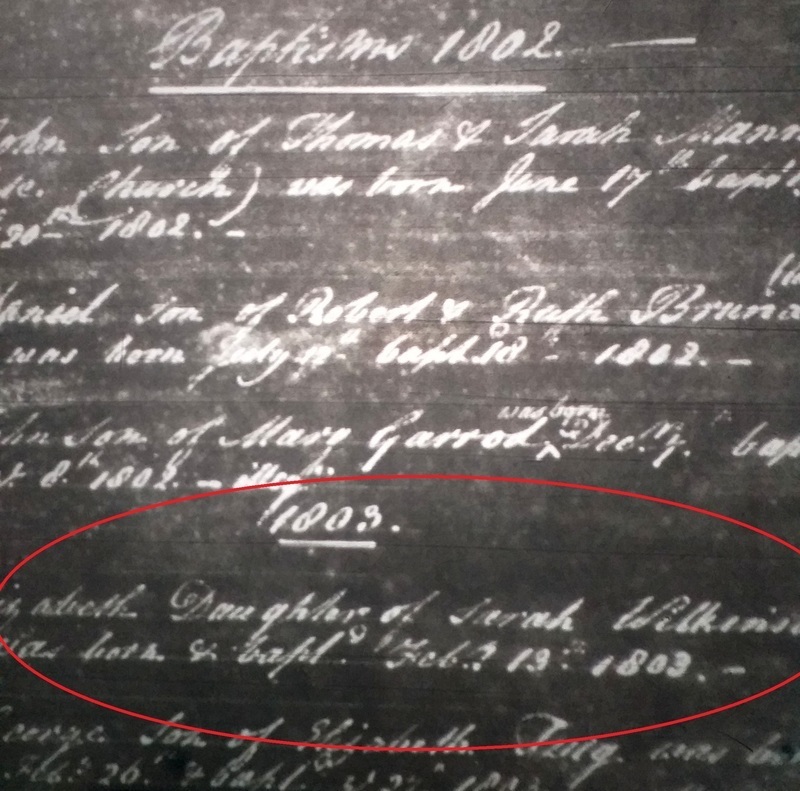 So my 129 recorded 7th great grandparents represent only 25% of the actual entire generation. Additionally there will be a level of inaccuracy. Genealogical mistakes, poorly recorded details, non parental events, etc. 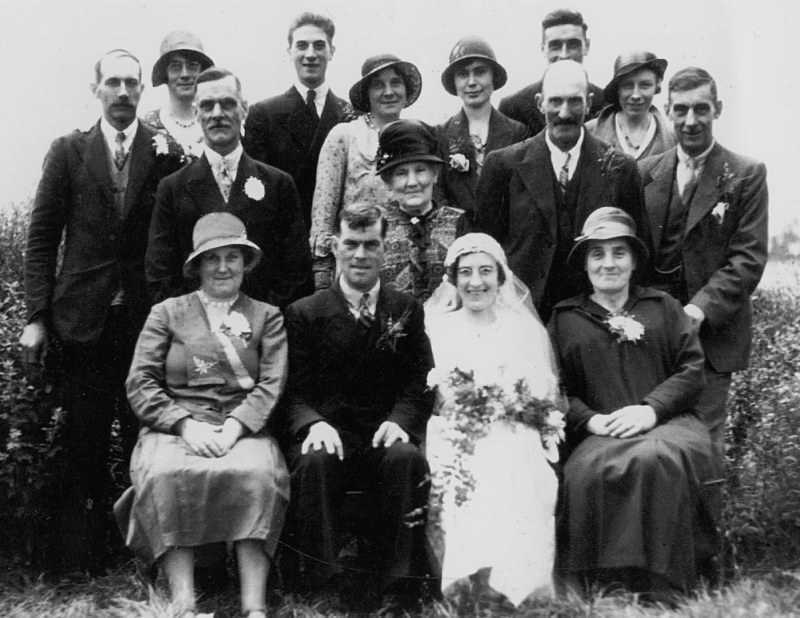 At Generation 6 for example, I can feel reasonably happy that I have compiled an accurate family tree - supported by a wide range of sources, such as BMD certificates, parish records, wills, censuses, military records, criminal records, poor law union records, newspaper reports, etc. Even biological confirmation can be achieved at Generations 5 - 6, with photographed likenesses, family tales, and now especially by DNA Matching services - Genetic Genealogy. However, back at Generation 9 and earlier, pretty much that all that can be sourced are poorly preserved, poorly scripted, parish registers. And far from all of them survive. Additionally, I'll admit that in some cases, these records have been resourced through transcripts, that are often incorrect. Genetic Genealogy can in some cases verify ancestry at Generations 9/10, and certainly at Generation 9 I believe that I have found common DNA segments between my family and other testers that verify a trail. However, it's purely random. The absence of shared segments does not disprove shared descent at this range. Therefore I argue that in the case of English records, when you trace poor ancestors back beyond the Mid 18th Century - that you need to reduce expectations of accuracy, of truth. You have to rely on less and less reliable records. ]]> Paul Brooker tag:paulbrooker.posthaven.com,2013:Post/1309069 2018-08-05T22:18:45Z 2018-08-05T22:26:54Z Notes on Medieval Flegg and Broadland, in Norfolk, East Anglia. 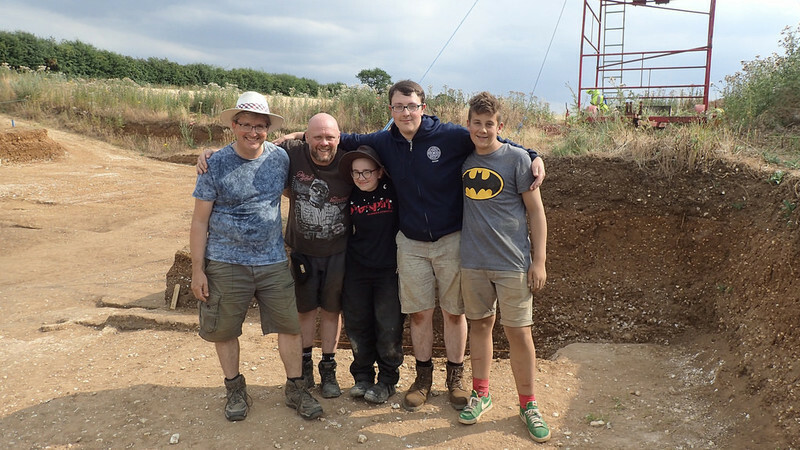 July 2018 - I recently completed a BERT (Basic Excavation and Recording Techniques) Course in Archaeology at the SHARP Project in Sedgeford, Norfolk. I've been interested in archaeology for decades. My interested probably kicked off during the early 1970's when as a kid, I witnessed a number of excavations around my father's shop in Norwich. Around 16 - 21 years ago, I was a keen amateur archaeologist. I studied part-time for two years with the UEA, and gained a certificate in "Field Archaeology & Landscape History". I contributed as a volunteer field-walker, or as I liked to call it, surface-collection surveyor. 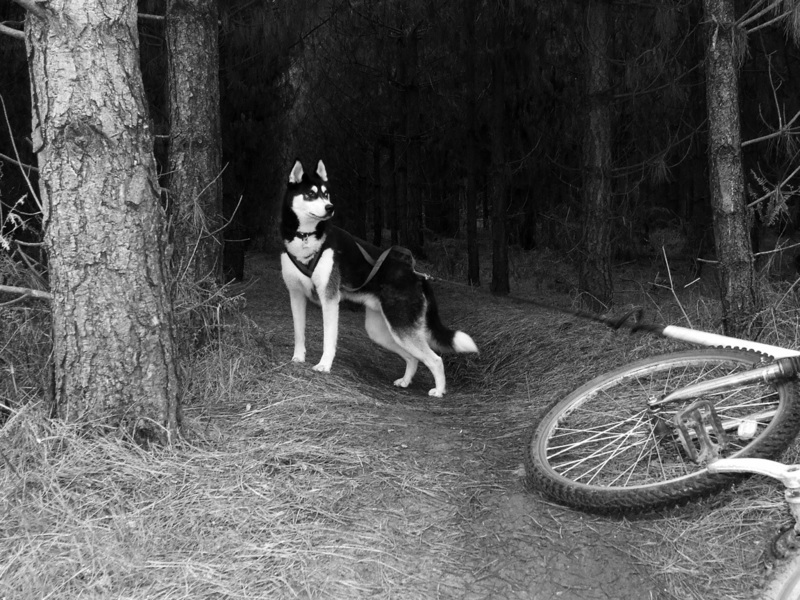 I carried out a one man survey of over thirty compartments with disturbed soils in Thetford Forest. 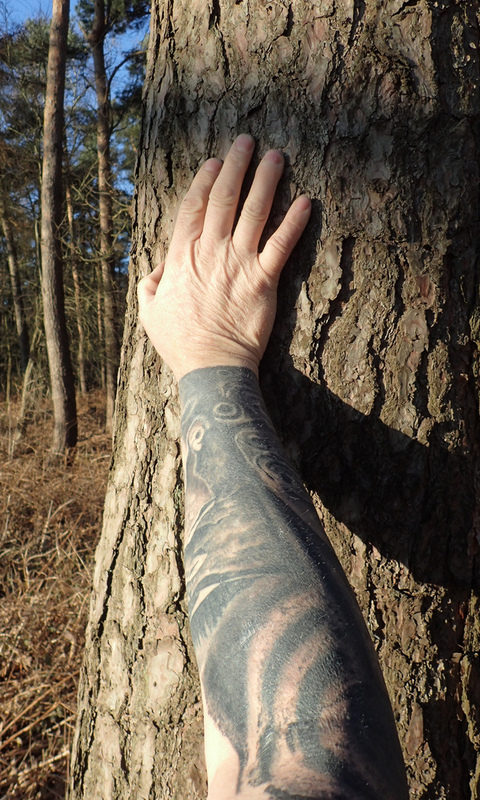 Here is a link to the web archive of my old project website Thetford Forest Archaeology. My main interest was in survey methodology, late prehistory, and in British lithics. However, Life moved on as it does for me. 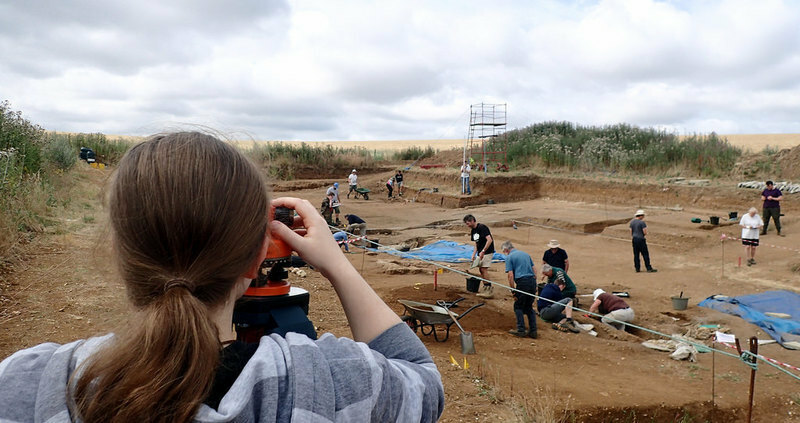 Years later, I look at the SHARP (Sedgeford Archaeological & Historical Research Project) website, and spot their course, BERT (Basic Excavation & Recording Techniques). 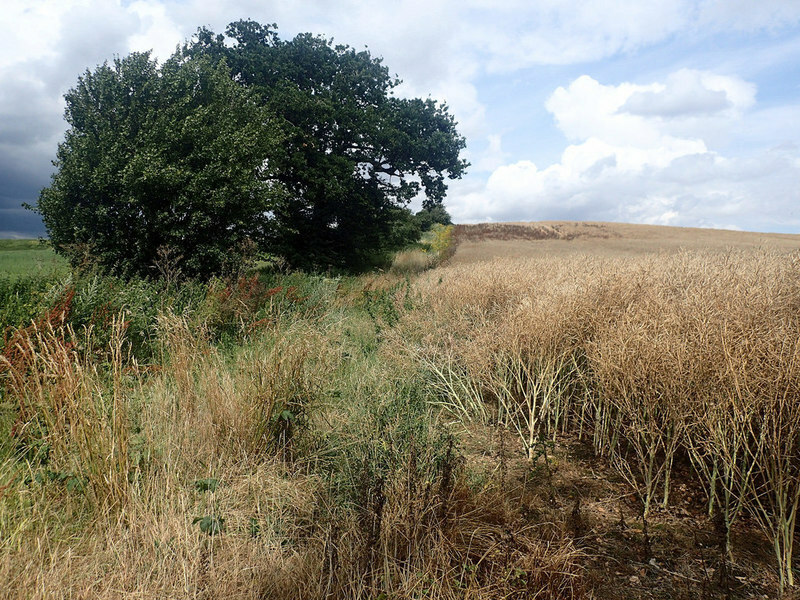 I remembered field-walking for a day at Sedgeford, with the UEA group, around 19 years ago. The Sedgeford Project was still up and running after all of these years! 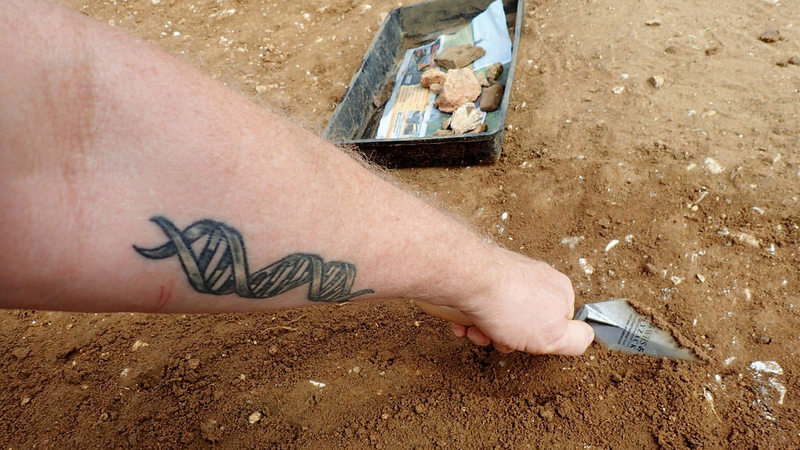 I'd never excavated before. 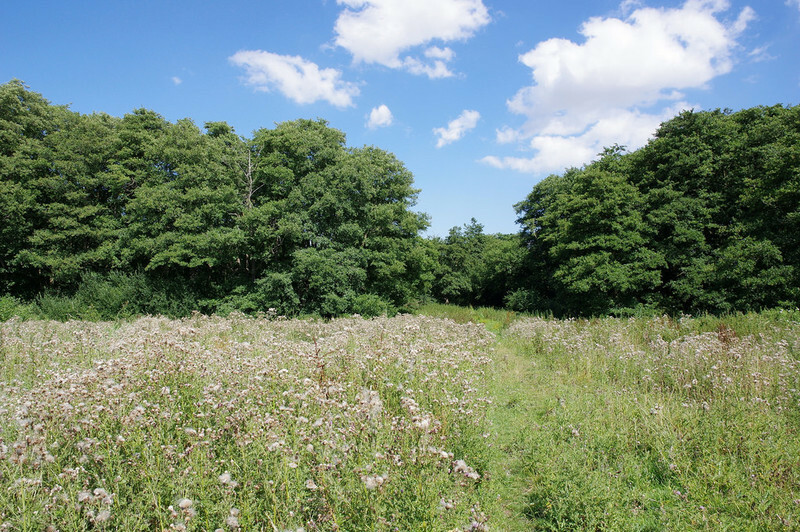 I liked field-walking as it gave me independence to carry out all aspects of the project. 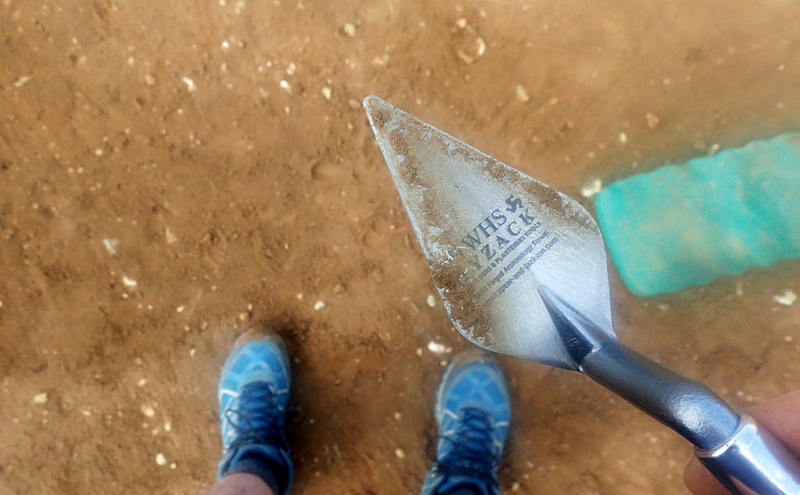 But even though I had a long term interest in archaeology - I'd never myself, as much as lifted a trowel at a dig. Time is moving on - I decided to add it to the bucket list of life, and to execute it. I signed up for a BART Course to commence and run for six days in July 2018. This is what I experienced. SHARP (Sedgford Archaeological & Historical Research Project) is a project both to a) deep research over a long term period, one English village parish, set in the North West Norfolk landscape - using multiple archaeological and historical research methods, and b) in democratic archaeology, where locals, members of the public, amateurs, students, enthusiasts, and volunteers can contribute to and become involved in a high quality research project. Archaeology is demystified, as volunteers often gain enough experience to become supervisors and trainers at the Project themselves. 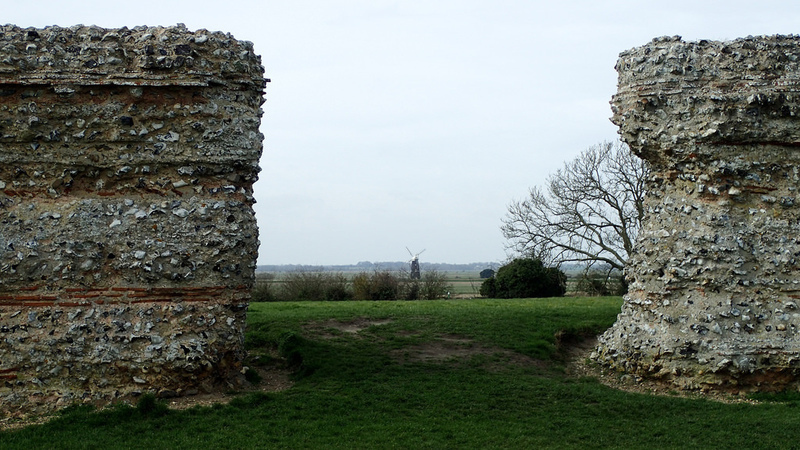 I'd say that they have achieved both of those goals, and over an incredible 23 year period - and still going strong, with plenty of excavations and other research possibilities to keep them busy in that one small Norfolk parish, for many years to come. Indeed one very important lesson of SHARP - is that Sedgeford is just one rural East Anglian village parish. Not particularly special. 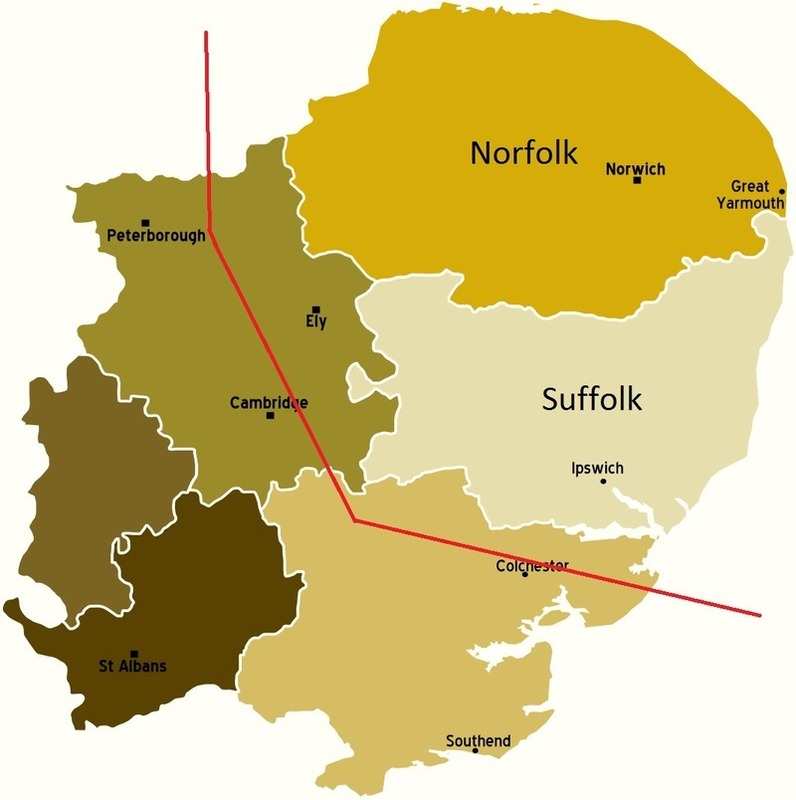 Out of some 1,200 or more East Anglian parishes. Yet it has proven to provide decades of research and opportunities. For those that believe that Archaeology is all done and dusted, think again. The setting. 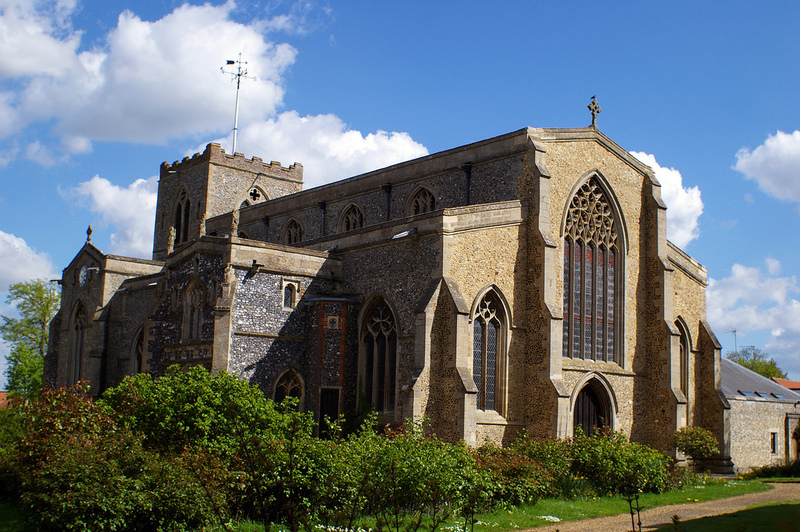 Sedgeford, a parish in the north west corner of the East Anglian county of Norfolk. A few miles from the coast of the Wash and the North Sea. July 2018. A small stream passes through the village. 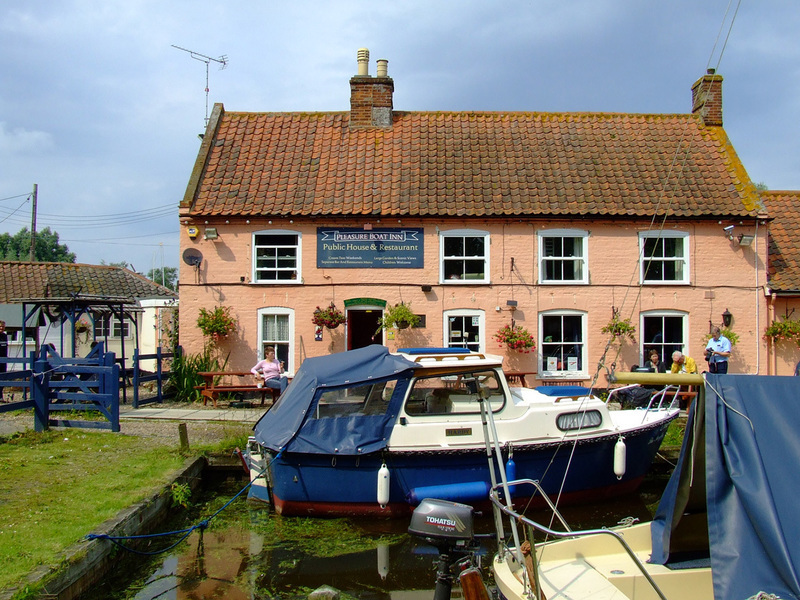 In past times, it was a navigable stretch of Heacham River. The UK has been in a drought for several weeks, and are in what the media refer to as a "heatwave", the hottest and driest for over forty years. Above image copyright from openstreetmap.org. I purchased a place on the BERT course at the off-site rate (GBP £290). Full Rate On-Site (GBP £430 - there is also a concession rate) would have entitled me to a pitch in their camp, as well as to evening meal, evening community activities (some of which may require a further fee), and to breakfast. I know that I was missing out on that aspect of the SHARP experience. During the week, evening activities included a quiz, a game of cricket, a lecture, and at the end, a storytelling evening followed by a punk rock act! However, as my interest was in the archaeology, I couldn't justify the extra cost when I could drive home to sleep and rest each evening. 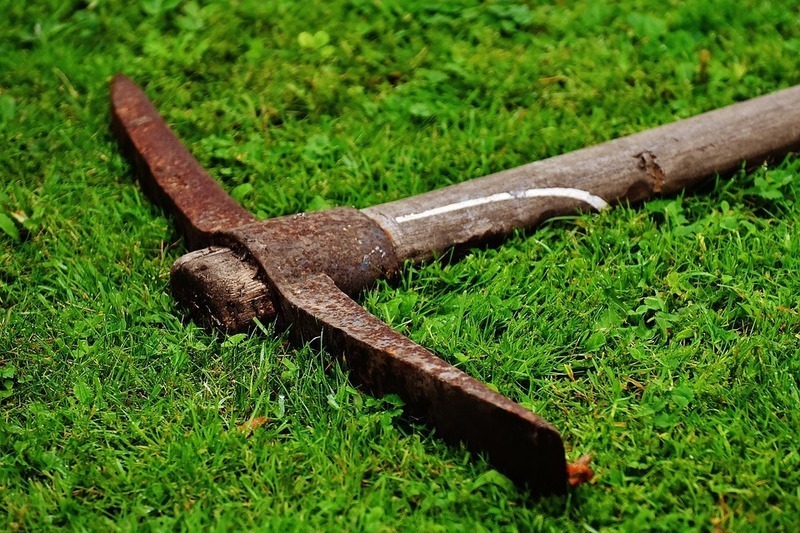 There were a number of things that I was notified of that I needed: a few basic tools, including an archaeology trowel, a leaf trowel, a plumb bob, line level, pencils, 5 metre steel tape, a broad rimmed hat, sun lotion, etc. Of those, the most essential were the archaeology trowel, pencils, the hat, and sun lotion. In addition, had I known, I would have brought a pen, a drink mug, food dish / bowl, and knife and fork. I arrived around 07:15 on Sunday morning. I had missed out on an induction held for the campers the previous evening. I could have got there a bit later, maybe 08:15. The SHARP community schedules the morning meeting in their central marquee tent for 08:20 Sunday - Friday. I would reiterate, that this is a democratic project, and that there is a strong communal feel to the camp. I met some of the supervisors, and a few other BERT students, one that kindly lent me some cutlery for the day (do take your own). First session - Health & Safety on site induction. There is no mobile plant on site, the main hazard being the hot weather. Second session - straight into it! To the current excavation, Trench 23, and first instructions on excavation trowel work. This was a bit of a pleasant surprise. SHARP pride themselves in this sort of approach. 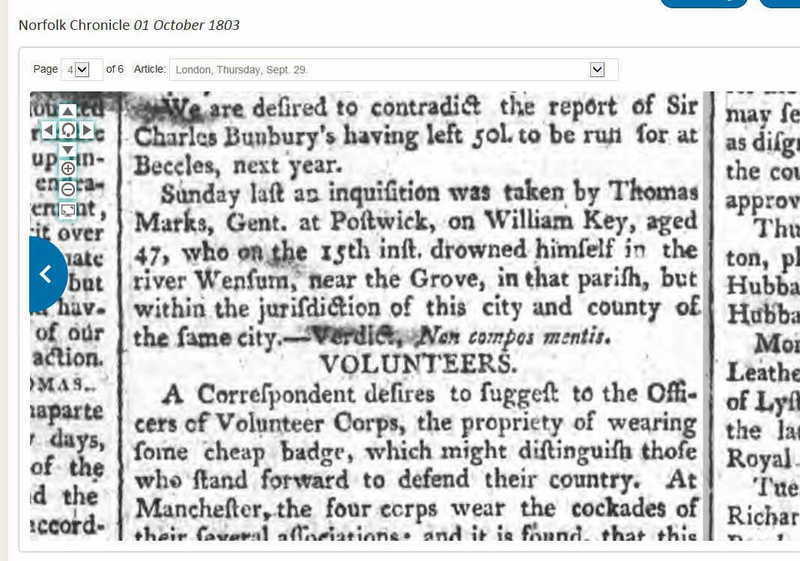 Whereas many commercial digs are renown for exploiting volunteers to do the dirty work, this project straight away starts to involve the novices. 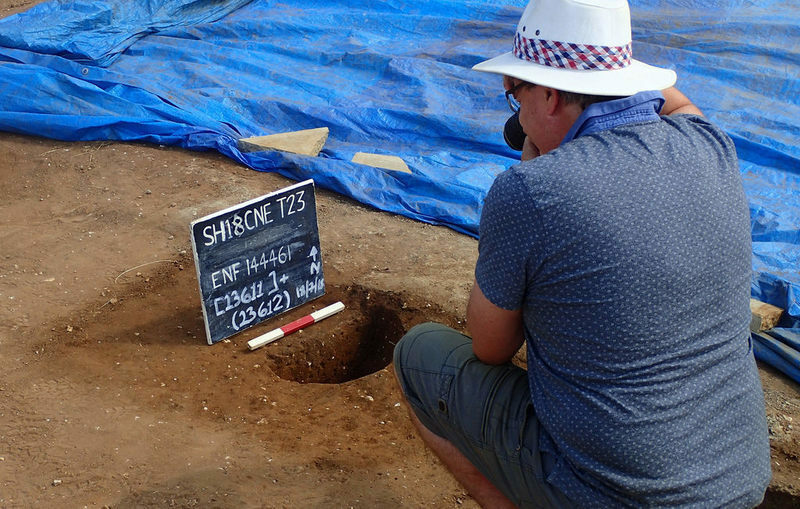 If I had actually made a significant find during that first session, I feel sure that with supervision, I would have been allowed to fully excavate and explore that find myself. This project demystifies the techniques, and enables volunteers. Above image - my brand new trowel broken in. A bit now about the Trench 23 Excavation that we were training on. Sub soil features were initially indicated by magnetometer survey. 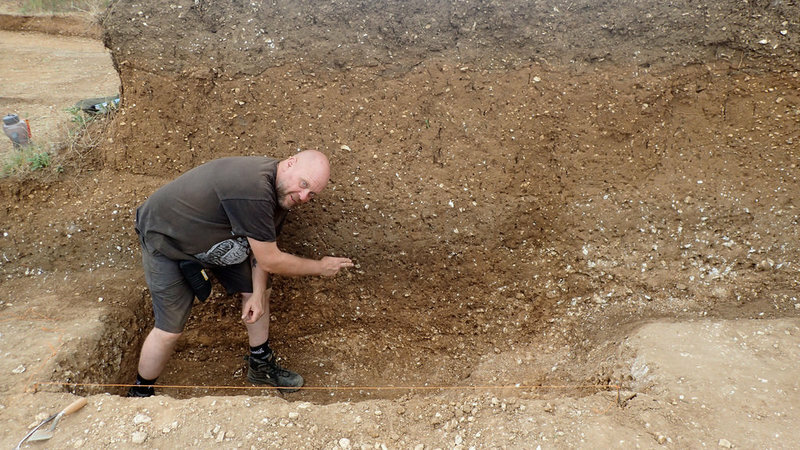 Top soils were removed a few seasons ago, and the trench (as pictured in some of the above images) had been worked down to a Middle Saxon layer. 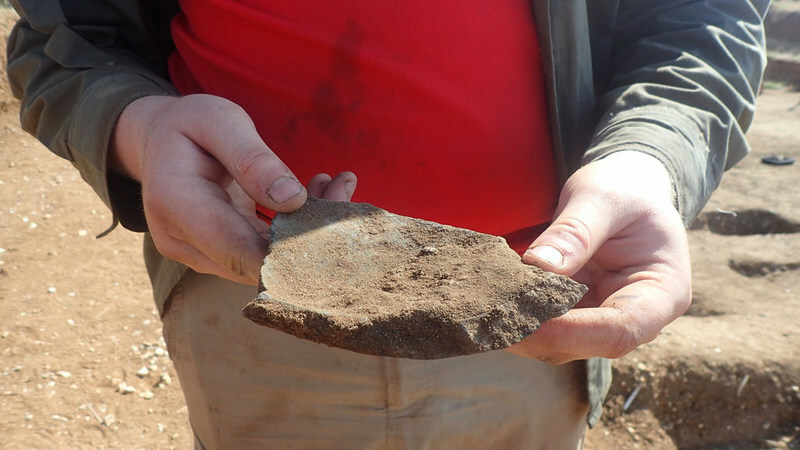 Almost all of the pottery recovered in this level was Ipswich Ware, the typical ceramic of the Middle Saxon (or Middle Anglo-Saxon period if you prefer) in Eastern England. 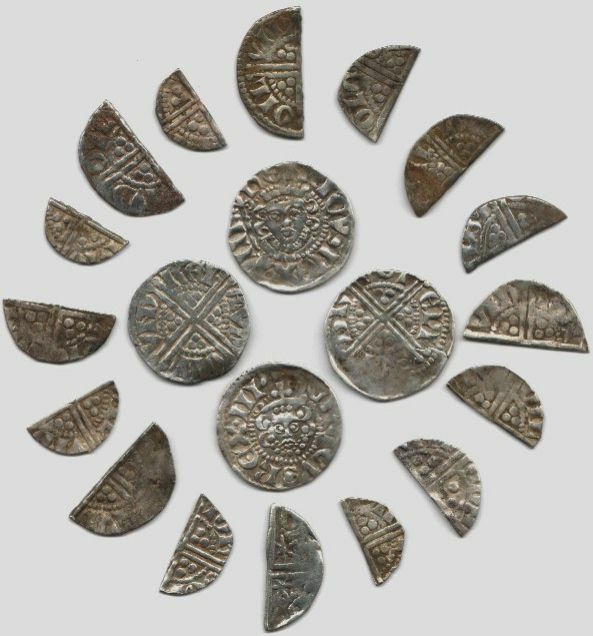 This heavy, gritty, wheel-turned grey-ware was fired in kilns located in Ipswich, Suffolk, between around 625 AD and 800 AD. 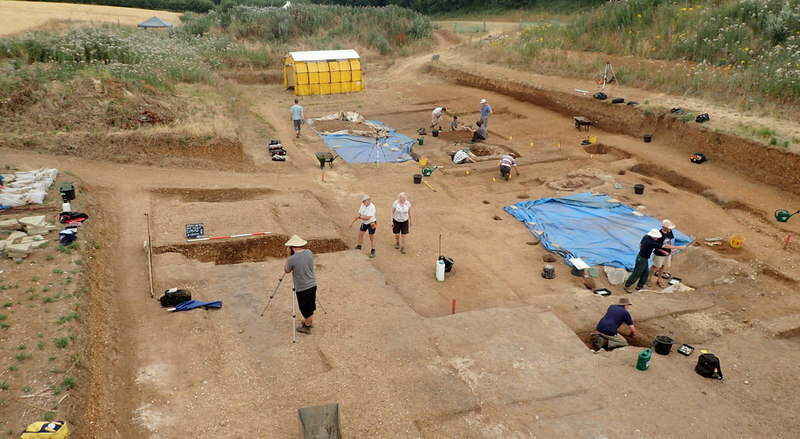 This site was securely dated to this period, which marks the return of Christianity to Lowland Britain, as it was finally embraced by the growing Anglo Saxon kingdoms of East Anglia, and Mercia. The main features that excited the geophysics surveyor turned out to be the foundations of two kilns or ovens, dating to the Middle Saxon period. 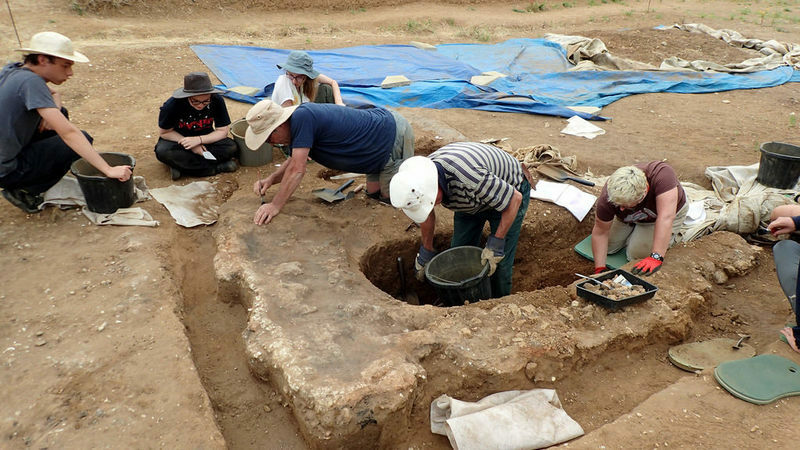 The working hypothesis was that these ovens, along with the other features that included working floors, post holes, and at least one cistern feature, as well as a midden, and burnt charred grain from barley and rye, could represent a malt-house complex. 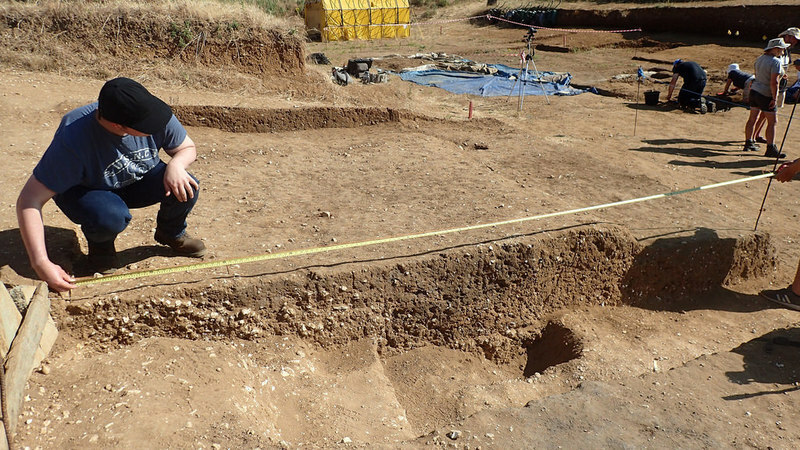 If this is the case, then it could be the first ever malt-house yet recorded from Anglo-Saxon Britain. Third session. In a mobile classroom for basic recording and context technique training. Excavation, stratigraphy, colluvium, turbulation, Harris matrix, and other subjects were also introduced, as well as the "context form". Fourth session. The World Cup Final was scheduled, and a lot of the community including some BERT students were excused to watch the Final between France and Croatia on a screen. I wasn't particularly interested, but keener to have more time in Trench 23 on the trowel work. Out in the baking sun. Day ended 17:00. It felt good. Time to drive home. Back on site for the 08:20 morning meeting. Coffee. Recap and we are issued with our BAJR (British Archaeology Jobs Resource) Archaeology Skills Passport. A booklet in which you can collect signatures from supervisors, as you accumulate skills and experience. A well signed passport is key to gaining placements on more excavations that welcome experienced volunteers. Then we were back onto Trench 23, this time for training in the survey and recording of a trench section. Got to play with plumb bob and line level. Similar to my training with the UEA years ago in surveying an earthwork - only inverted into a trench section. We were also tasked to actually start identifying changes in soil colours, textures, inclusions - to distinguish an actual soil stain. We recorded our section on a scale of 1:20. We were introduced to the safe use of a mattock to clean an area of trench. On Day 3 we had training on the identification, context, and recording of small finds in an excavation. We each had to complete the session by filling out a small find record, complete with description, context, dimensions, description, and a drawing of a metal artefact. 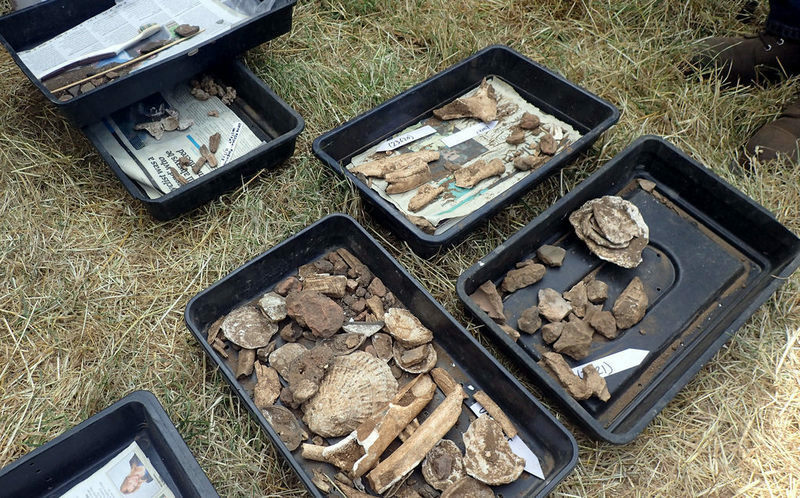 Next session was Bulk Finds - cleaning and treatment of different materials such as daub, bone, shell, ceramics, etc. We were taught to systematically keep bulk find trays with context tabs. Some more trowel work in Trench 23. Practical assessment of the ability to plot a plan of a trench and features. 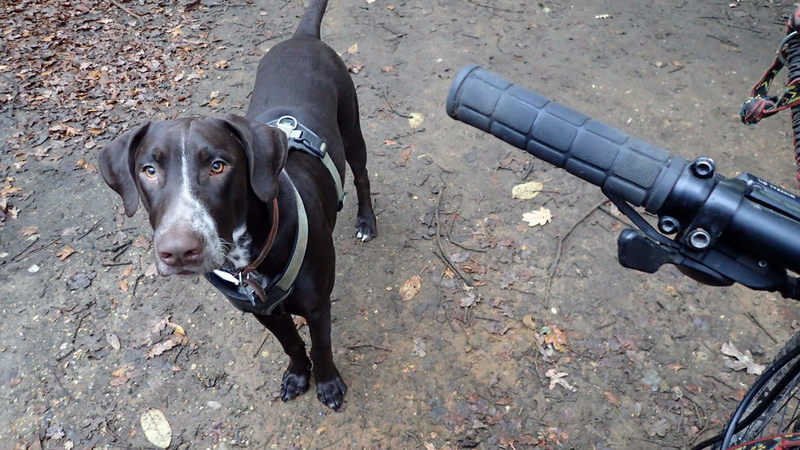 Training with a Dumpy Level - in order to record height of excavation features and small finds. Training in site photography. How to clean and prepare a feature such as post holes, take photographic records, fill in the photography register, use metre sticks, context boards, etc. More general trench trowelling and other work. Environmental Archaeology. 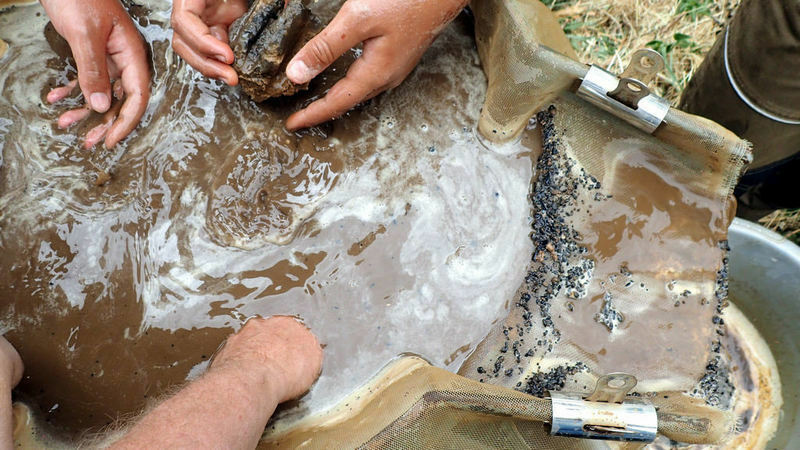 Trained to strain soil samples in a flotation tank, in order to separate light organic material, heavier bulk finds such as daub, from soil. 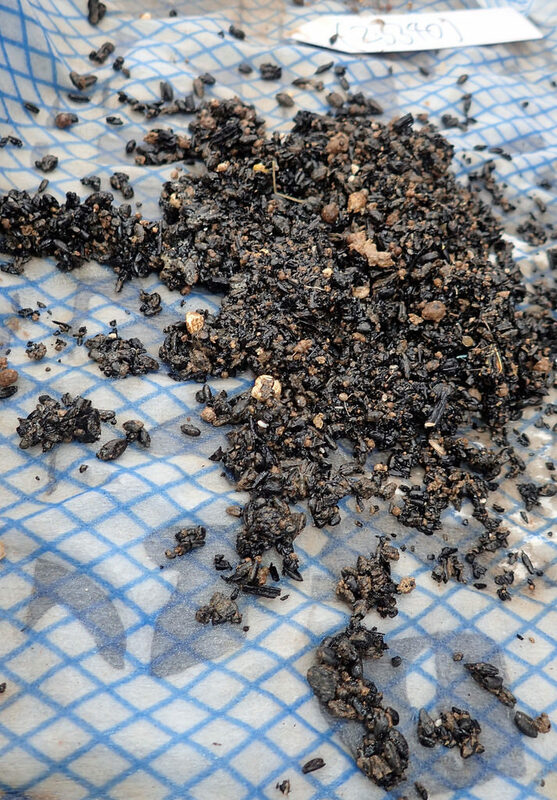 We also sorted through the bulk finds from a flotation sample - separating finds such as daub and bone. I and another student, Anna, were asked to excavate a sondage on the edge of Trench 23, in order to test if a Saxon dated drainage ditch continued in that direction. I particularly took great joy in that work - but so hot in the heat-wave. Day 6. Friday - Goodbyes. 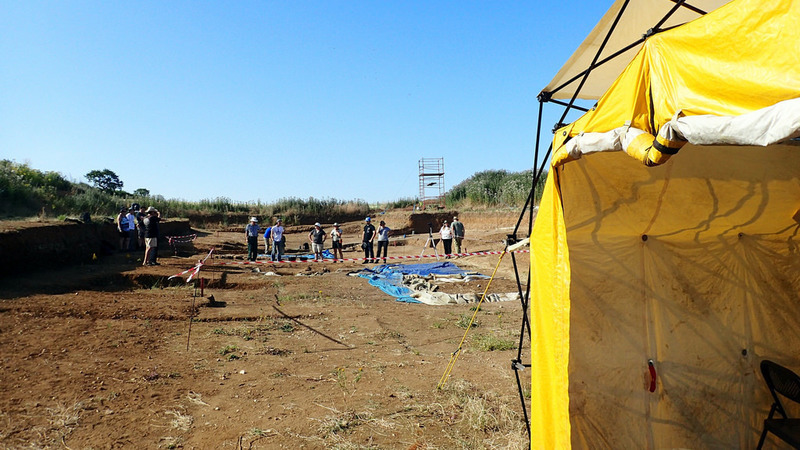 We had a recap on excavation recording. 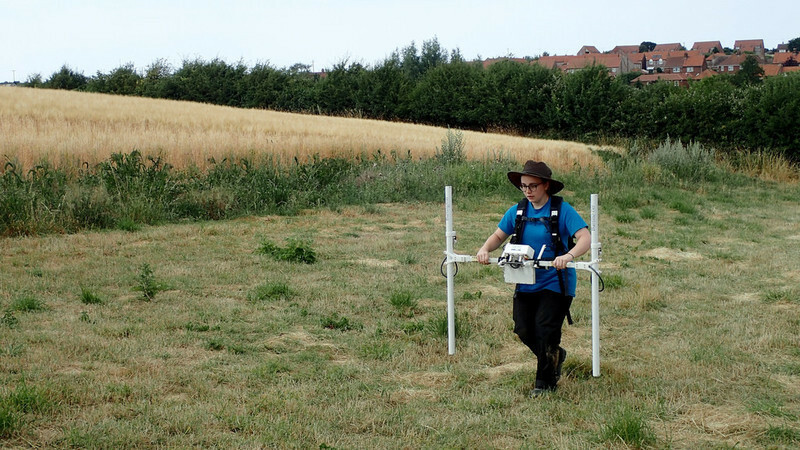 An introduction to geophysics and non-intrusive archaeological methods. As I studied non-invasive archaeology with the UEA for two years in the past, this was like a recap and update for myself. However - we got to play with a magnetometer (flux gradiometer) out in the field, which was certainly a new experience. We also had an introduction to reporting. 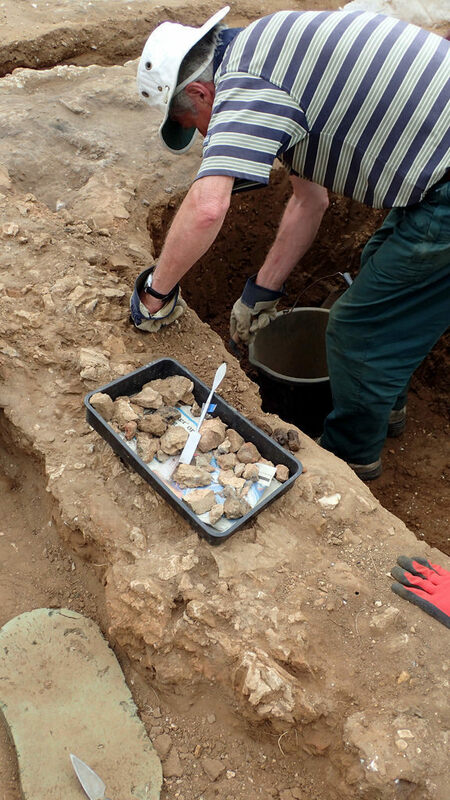 Each week, the new crop of BERT students have to complete a new section of a report for the Trench 23 excavation. We were presented our BERT certificates. With another student, I was tasked to guide some members of the public visiting the excavation. We got the thumbs up from a supervisor. At close of the week some of us made a presentation to the SHARP team about what we had been learning. It wasn't just trowel work, site photography, dumpy levels, or even flotation that I learned about and experienced over the week. What I also discovered were human stories and community. I saw a sort of collectivism in action, in the form of People's Archaeology - individuals helping each other up. I enjoyed the work. I enjoyed meeting like minded people on their own journeys. So much so that I'm looking forward to returning next summer as a volunteer at Sedgeford. Last day was actually emotional. ]]> Paul Brooker tag:paulbrooker.posthaven.com,2013:Post/1270752 2018-04-09T19:16:14Z 2019-01-06T05:03:21Z Genetic Genealogy - who was my great grandfather? ]]> Paul Brooker tag:paulbrooker.posthaven.com,2013:Post/1264186 2018-03-24T17:10:41Z 2018-03-24T17:30:51Z Are the South East English actually Belgian? 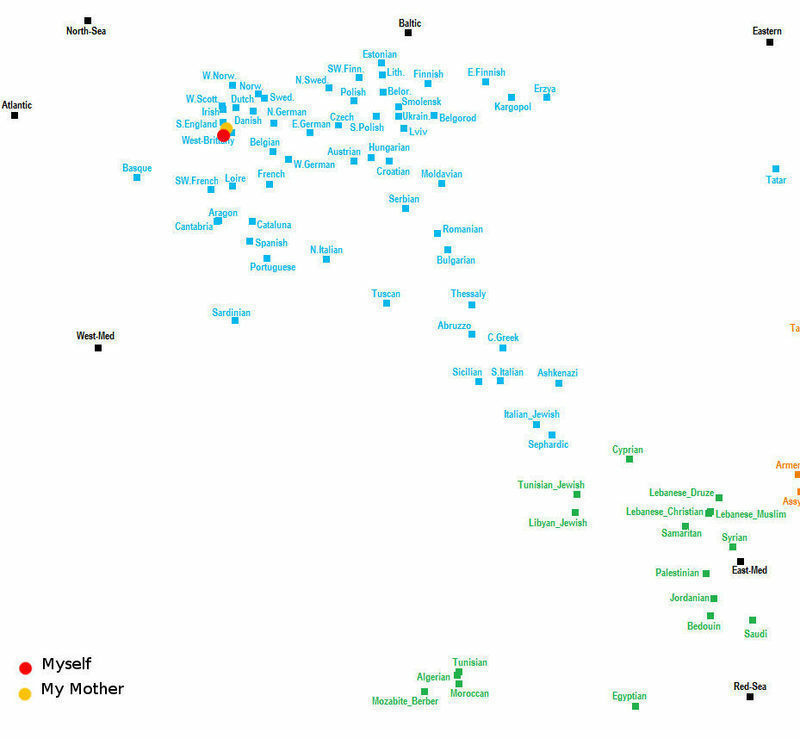 The above image illustrates of some of my ancestral locations, as according to documented genealogy. As can be seen. I have quite a lot of East Anglian ancestry. What might also be observed, is the location of East Anglia, and of South East England, in relation to Belgium, the Netherlands, and North East France. It's all adding up. 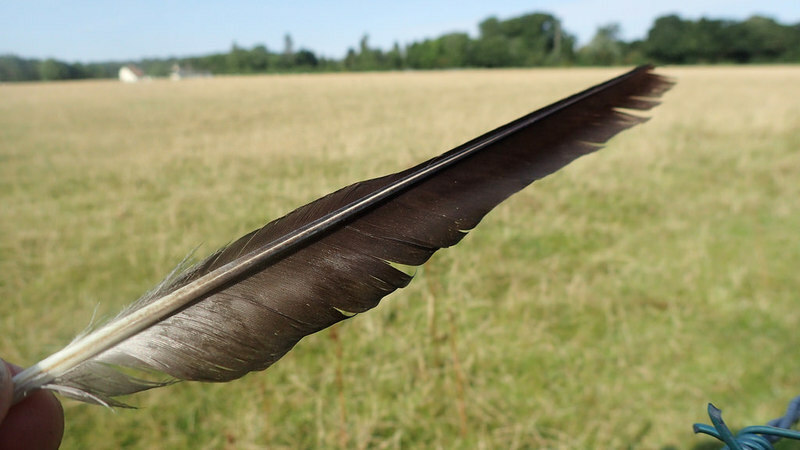 However, then, a new trend appears in British Archaeology that plays down the Anglo-Saxon invasion hypothesis. 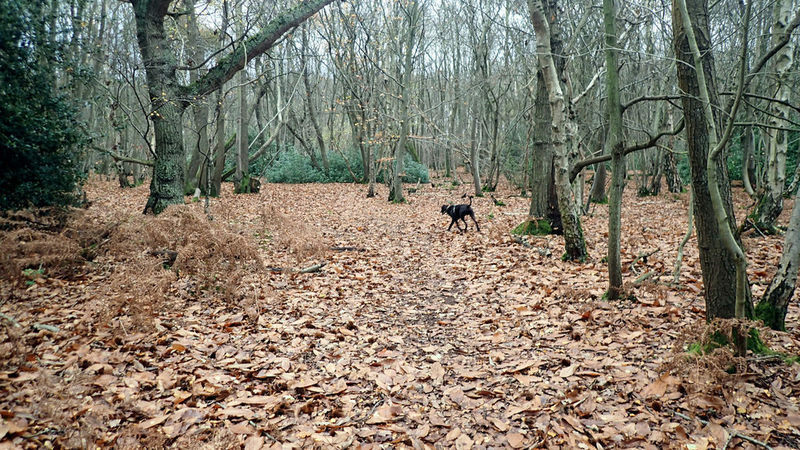 From the 1980's onward, some British archaeologists started to argue that they saw patterns of land use continuity between the Romano-British and Pagan Saxon periods. 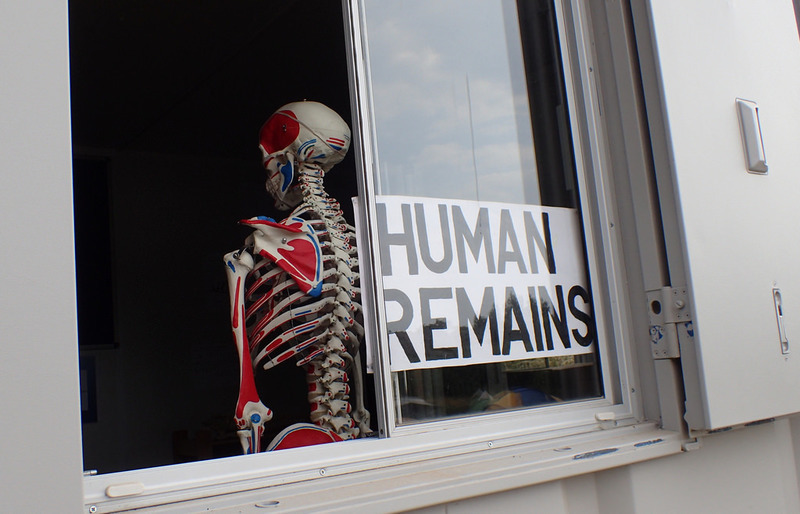 They argued there was no archaeology of genocide. No battle sites. No mass graves. Instead they proposed that only limited numbers of Anglo Saxons arrived - and that their culture was largely adopted by the Romano-Britons that already lived here. 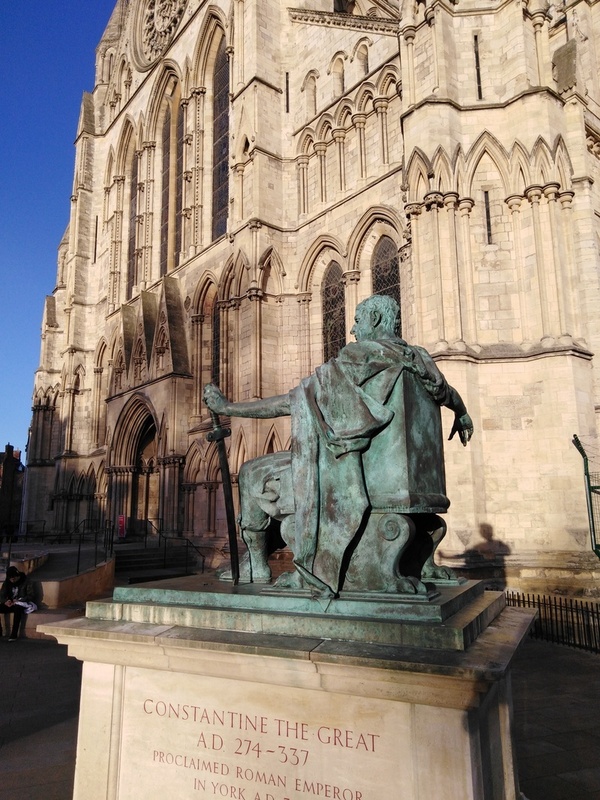 Some even suggested that no Anglo Saxons came here - it was merely a cultural import. Then Genetics stepped in. 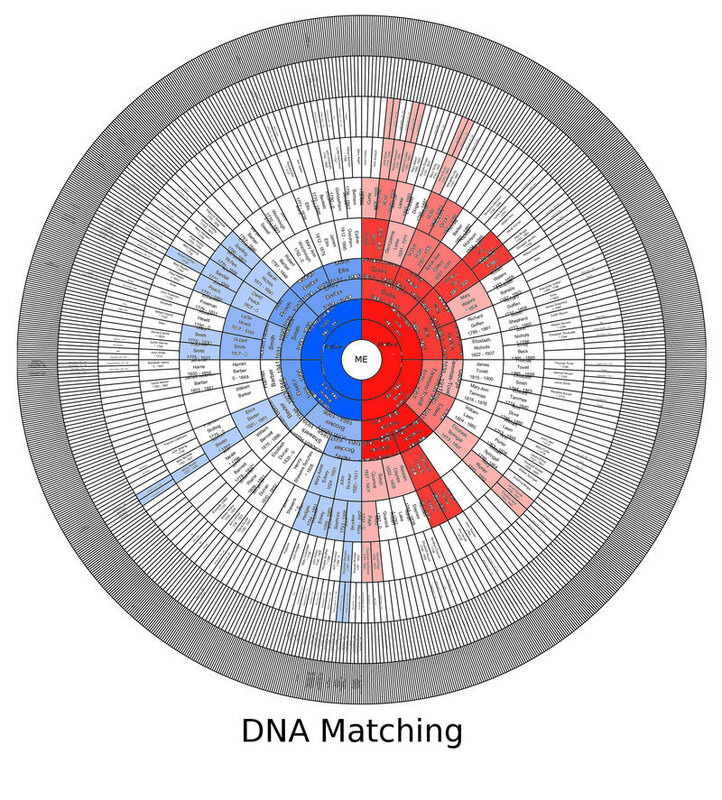 Most notably with POBI (Peopling of the British Isles) 2015, but also with a number of other studies, often comparing the DNA from excavated remains to modern populations. They proposed a new middle house consensus. No there was no genocide. 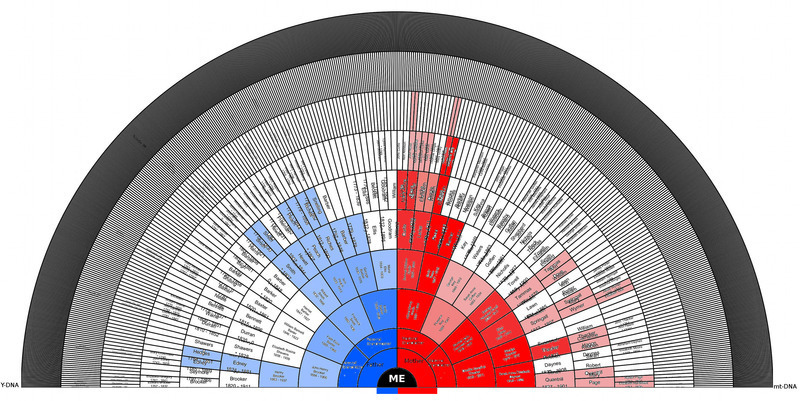 The modern English have more old British ancestry than Anglo-Saxon. However, there was a significant Anglo Saxon immigration event. But they mixed, intermarried. 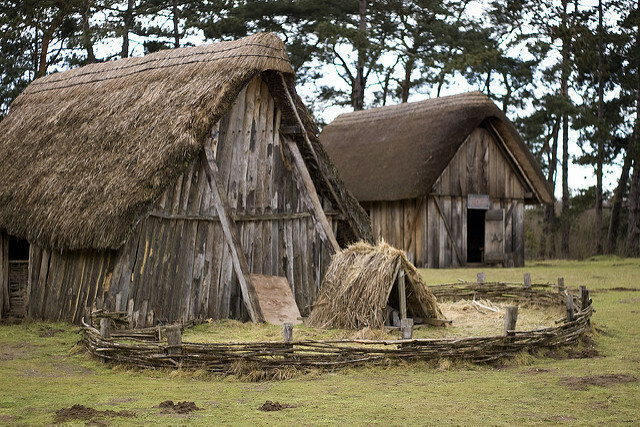 Anglo-Saxon culture was adopted, but Anglo Saxons had not displaced the Britons. They had married them. The modern English it seems have around 10% to 40% Anglo Saxon ancestry, and 60% to 90% British. Sort of watered down Celts. 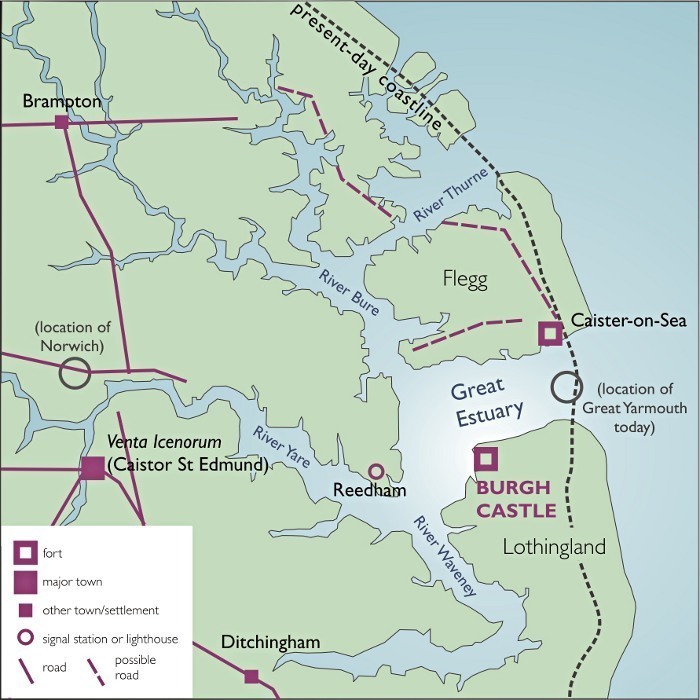 The assumption that we have made, is that rural populations on the front-line immigration - such as East Anglians, were the most watered down, with highest percentages of Anglo-Saxon ancestry. Why not. The archaeology would support that. 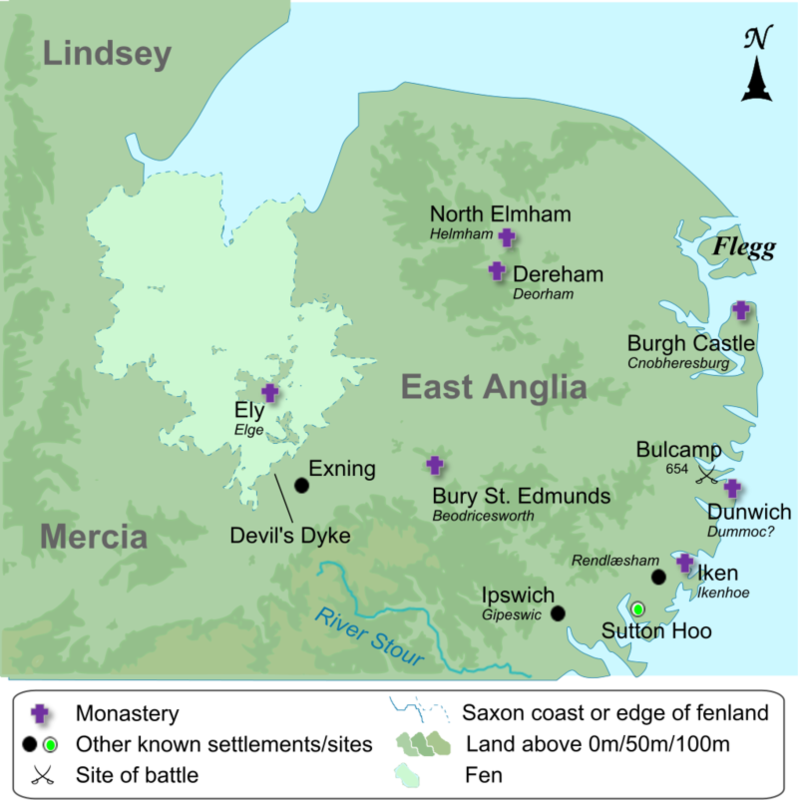 The East Anglian landscape is littered with Anglo-Saxon, and Anglo-Danish place-names. 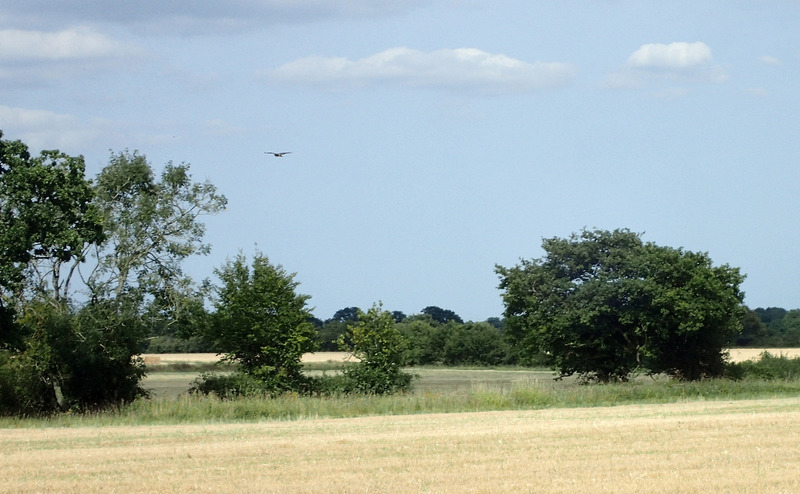 It is the most Anglo-Saxon landscape, and later, was firmly within the Dane-Law. If that's not East Anglian enough - look at the right hand side of that fan chart, my mother's side. 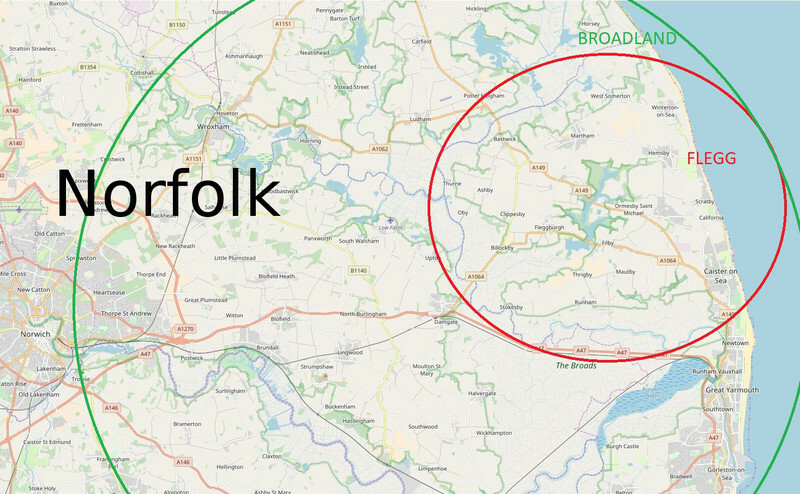 My mother has 225 of her direct ancestors recorded, and everyone lived firmly in East Anglia. That the vast majority of our ancestry is very rural, and poor agricultural working class, would suggest that we have had ancestry here in East Anglia for a very, very, long time. 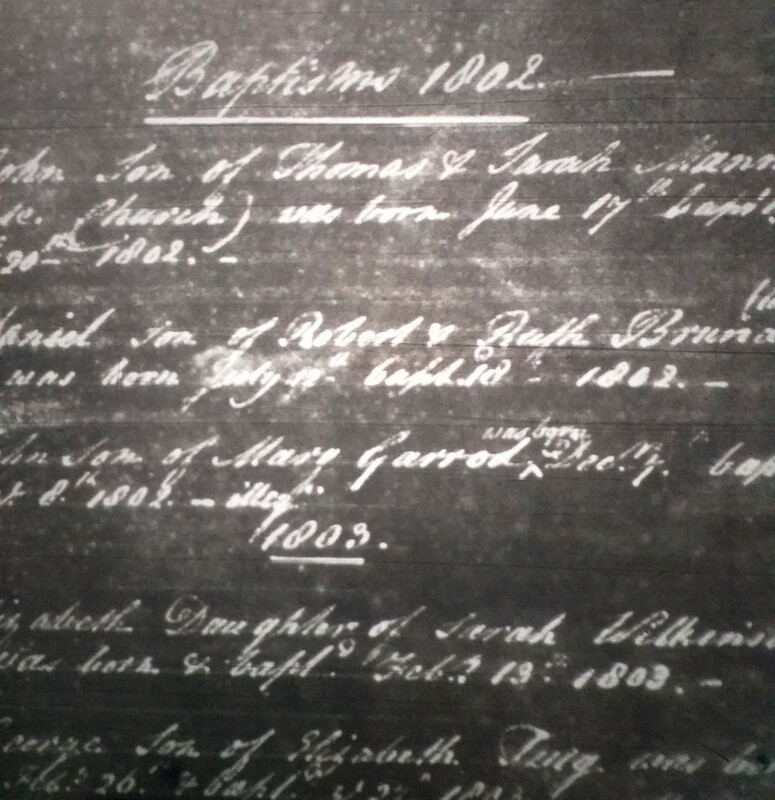 I have traced some lines back to early parish records in the 16th Century. I would expect that many of our ancestors belonged to peasant families in Medieval Norfolk and Suffolk. These, I'd expect were the descendants of Anglo Saxons, Romano-Britons, and Danes. 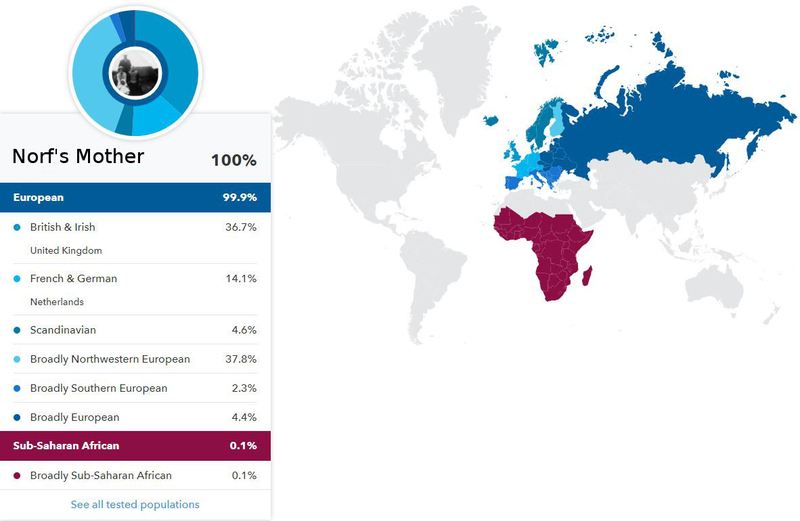 Documentary evidence confirms that I'm an East Anglian, and English. 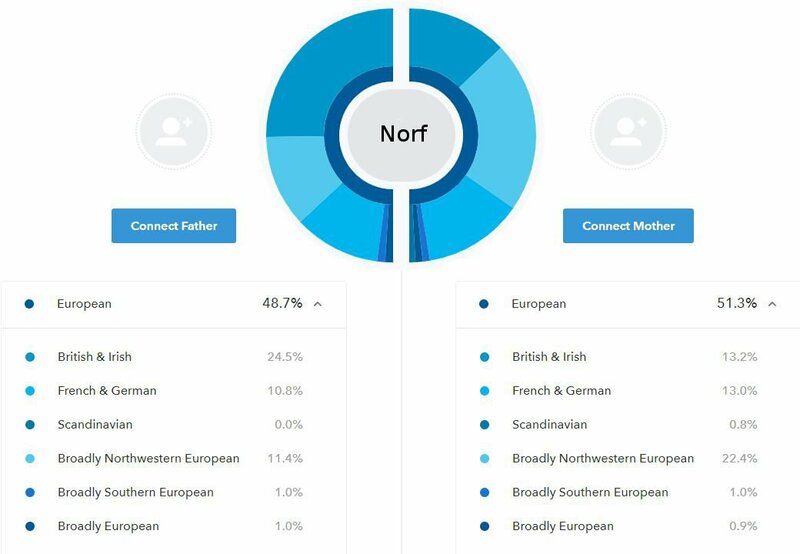 But when I tested with the commercial DNA-for-ancestry vendors, such as 23andme or FT-DNA, my results, although seeing me as pretty firmly, a North West European, doesn't really see me as particularly British. 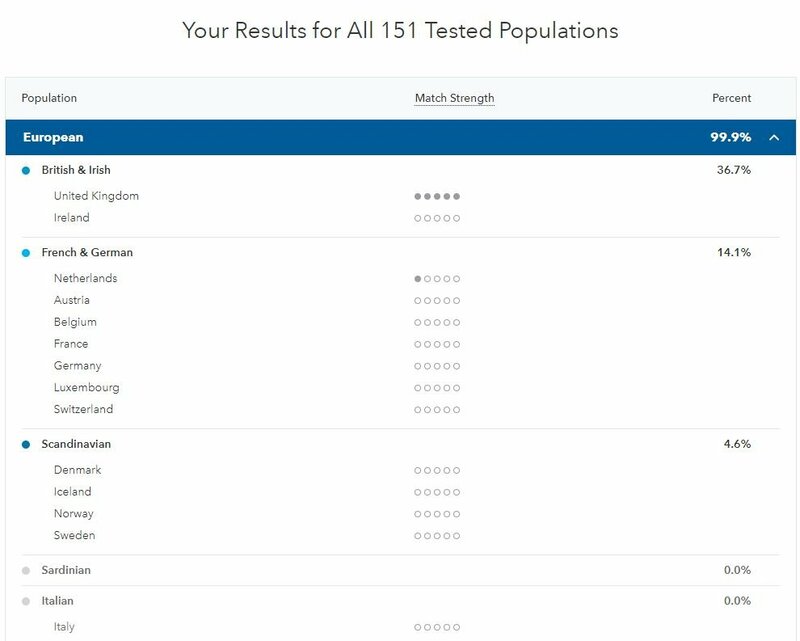 23andme suggested only 32% British. 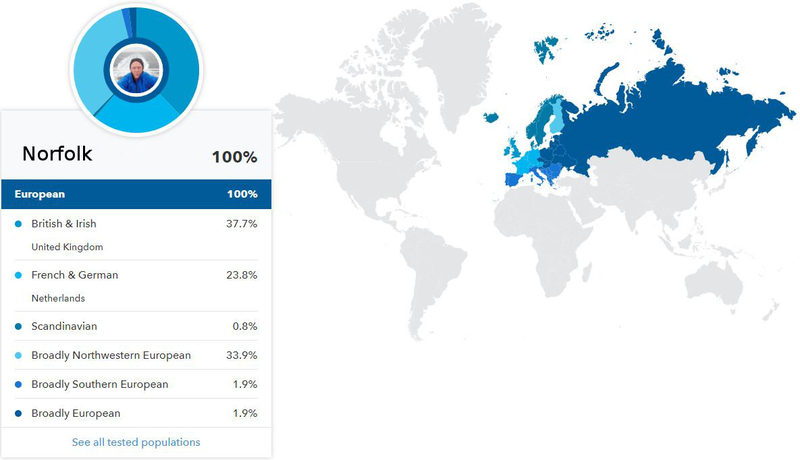 They instead suggest that my ancestry is rather Continental. High levels of "West European" or "French & German". I at first assumed that this was ancient or early medieval ancestry, my Anglo-Saxon and Anglo-Danish East Anglian roots showing through. 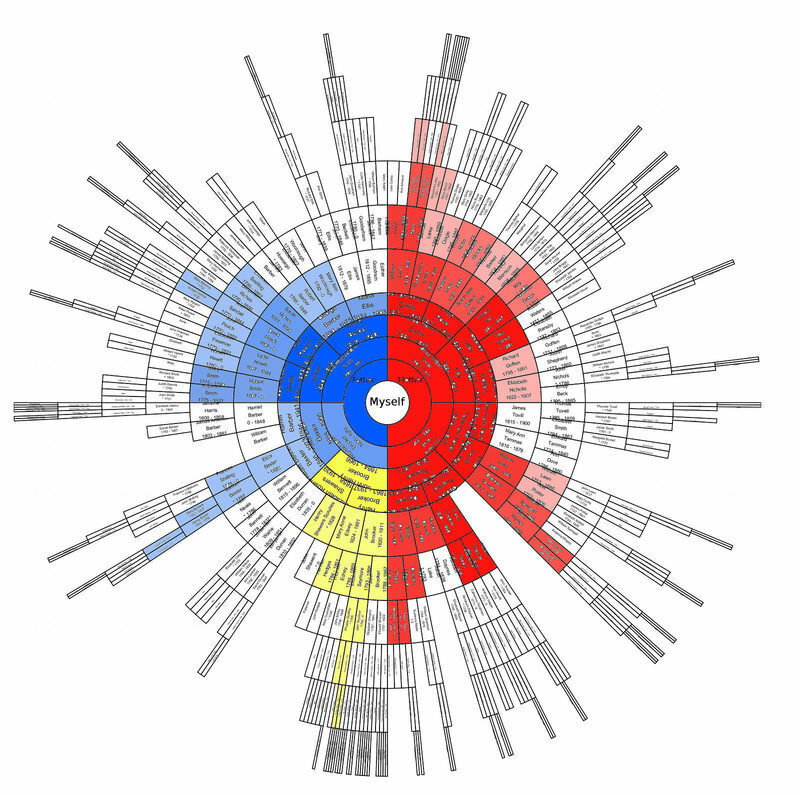 You see the red squares represent the Anglo Saxons in Cambridgeshire? Mine and even my very rural East Anglian mother's place well to the right of them, closer to modern day Irish speakers, overlapping with modern day French speakers. More Celtic it seems than Anglo Saxon. My mother has a slight more pull from Denmark and Schleswig Holstein. Perhaps this is from early medieval Angle/Danish settler in East Anglia? However, we both pull strongest outside of England, from the Low Countries. Flemish, Dutch, and Walloon come up as closest Continental matches. I'm not surprised. I've noticed for some time, that the big vendors appear to give some testers of Normandy, Hauts-de-France, Belgium, and the Netherlands ancestry, very similar results to my own. Note that I have included South East Britain in there - because clearly, there was no displacement. The Romano-Britons were among our ancestors. 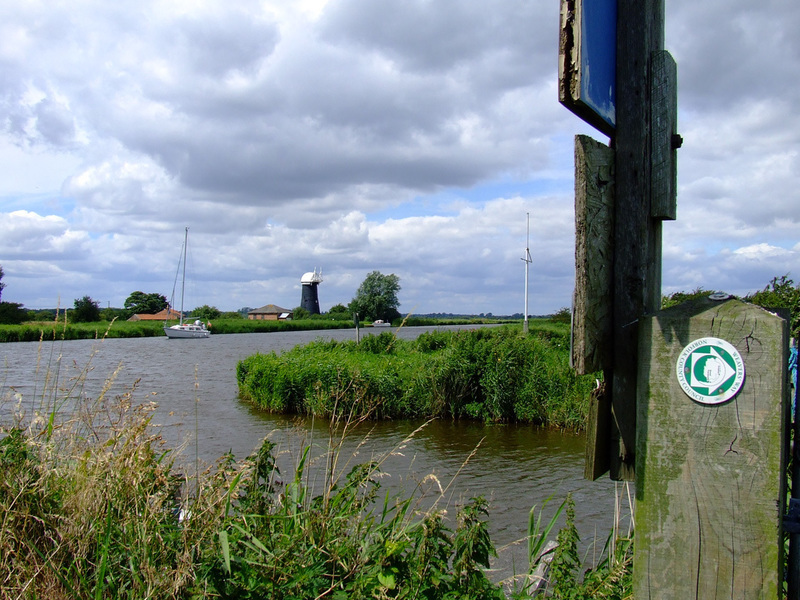 It has long been noted, that the very closest dialect or language to English, is West Frisian. Old Frisian and Old English (or Anglo Saxon) were close. Linguists group them together as "Anglo-Frisian". Why is this? If we all descend from Angles and Danes? When did our "Belgian" ancestors arrive in Britain? The Bell Beaker. During the Late Neolithic. We believe that the British Bell Beaker people largely crossed over from the Lower Rhine Valley. The Belgae. I'm not quite so sure about this one, but let's just go with it. 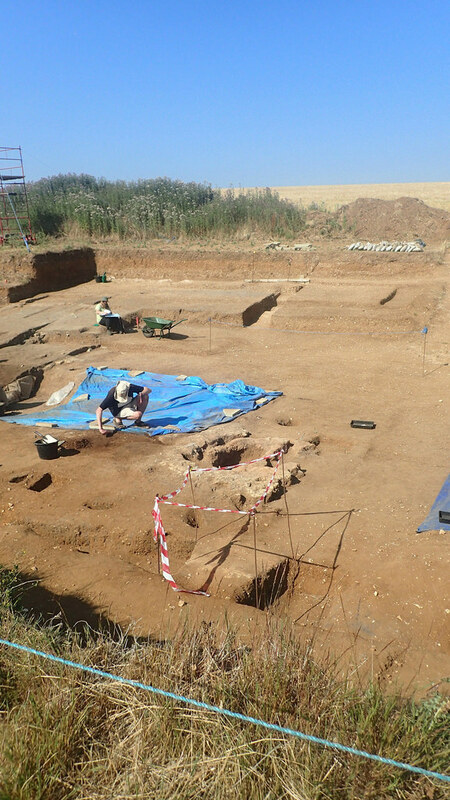 Roman historians recorded a late Iron Age migration from the Belgium area, into South East Britain. They described them as using a Celtic language and culture, but being closer related to Germanic tribes to the east. 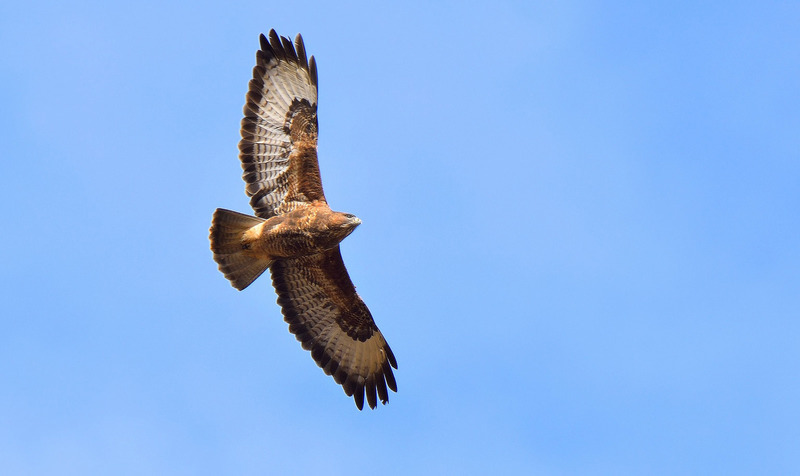 An unrecorded migration from Northern France to Southern Britain during Late Prehistory. 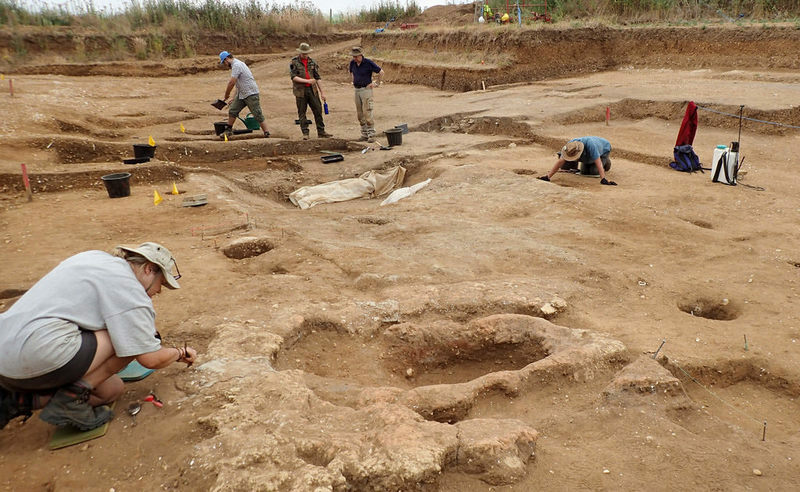 This one was suggested by POBI 2015, that claimed to detect a relationship between the Southern British and Northern France, that they claimed was most likely Late Prehistoric. Roman Britain. Britannia was often administered along with Gaul. Saxo Frisia. Saxons didn't only Southern Britain, they also settled the Low Countries, where they took the name of the earlier tribe there - the Frisians. 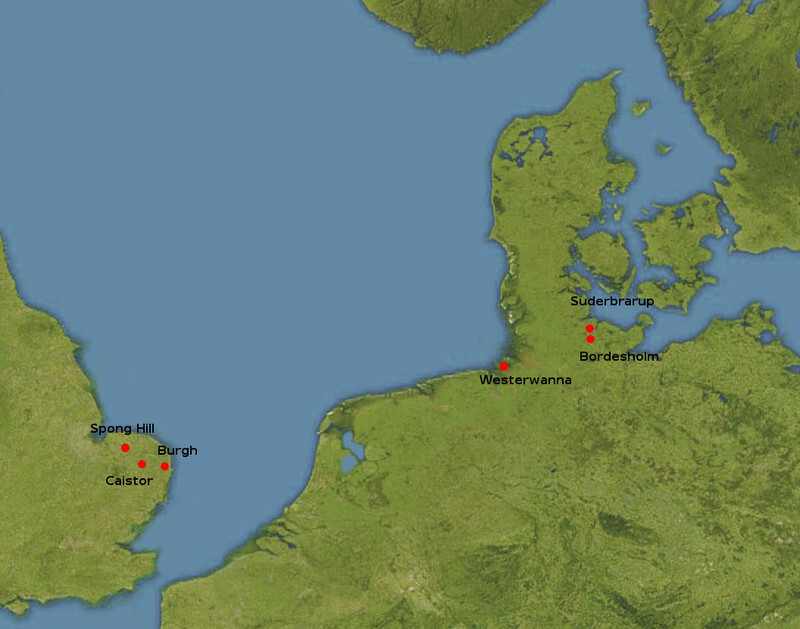 Did many Anglo-Saxon settlers actually crossed over from Frisia? Norman. 1066 and all that. A whole new elite arrived, often bringing artisans and supporters with them. Angevin and Medieval French. For a time, large regions of France were ruled along with England. French artisans, merchants, monks, priests, etc. The Elizabethan Strangers. 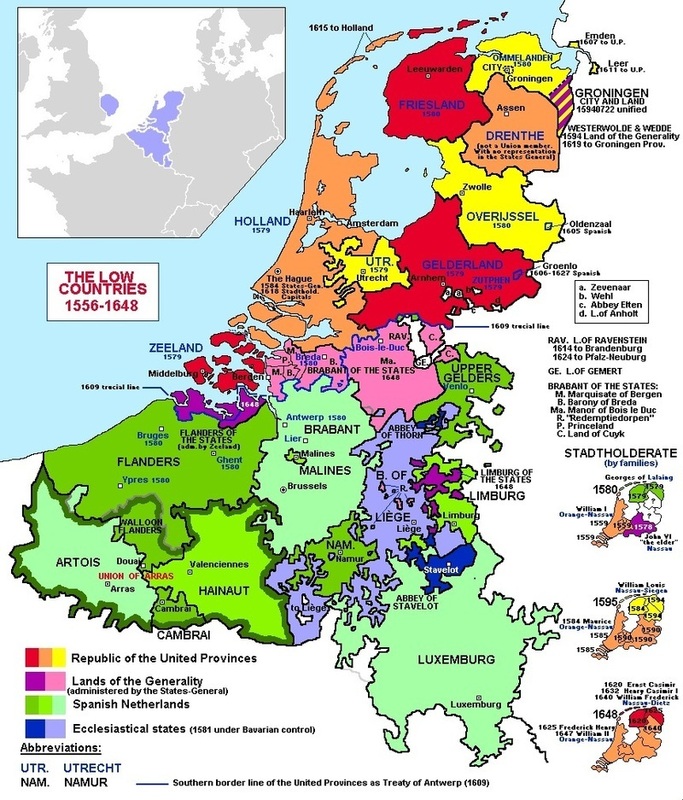 Protestant refugees were invited from the Low Countries, both Dutch and Walloons. 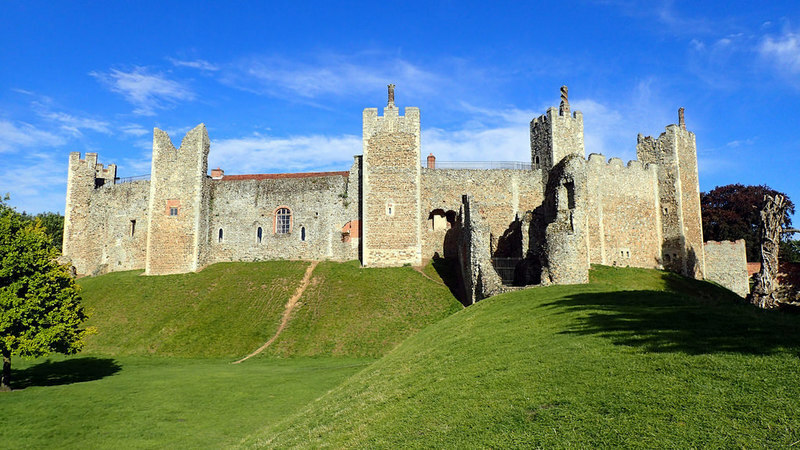 They particularly settled towns in South East England such as Norwich, and Colchester during the 16th and 17th centuries. The Huguenots. French Protestant refugees that arrived during the 17th and 18th centuries. 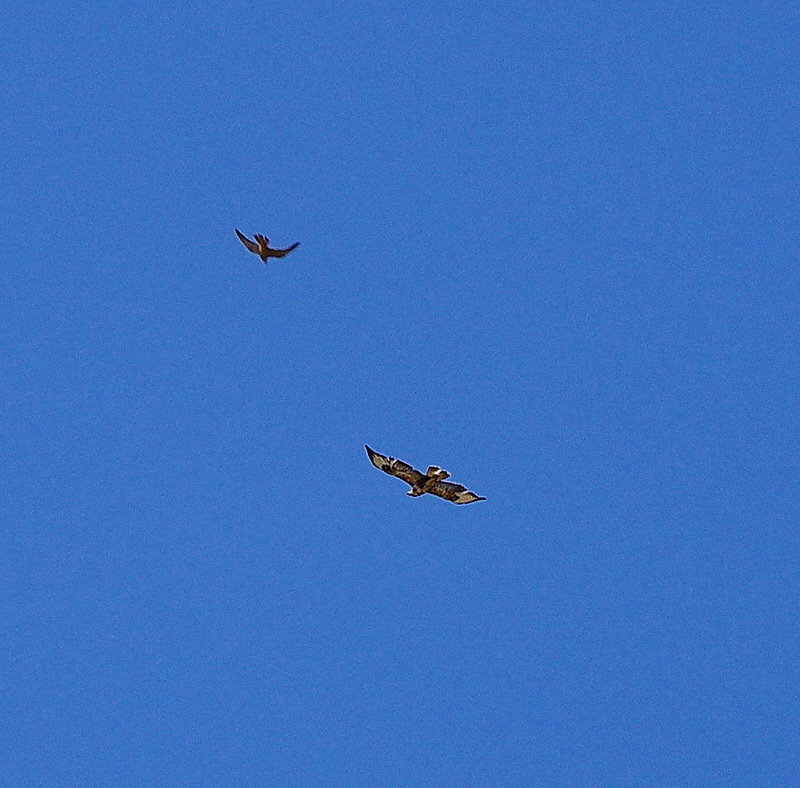 Background migration. My favourite. In addition to all of the aforementioned proposed migration events, the slow, gradual contact between South East England and the Low Countries / Northern France, that has always been there. The drip-drip in the background. That the North sea and Dover Strait separating the two areas is so narrow. Merchants, refugees, masons, artisans, weavers - the Dutchmen and Frenchmen recorded as Aliens in many post medieval surveys. The fishermen from Haut-de-France that frequently beached on the Norfolk coast. The dutch herring fishermen that traded herring at Yarmouth market. I'm NOT claiming that modern East Anglians or South East English, of local ancestry, do not have Anglo-Saxon, or perhaps Old Danish ancestry. My mother's K36 radiates slightly around Denmark and Schleswig Holstein. I'm NOT claiming that all East Anglians with local family trees would have the same results as my family. However, if they did turn out to do so... then it would appear that we have so far under-rated our close relationship to the Low Countries. 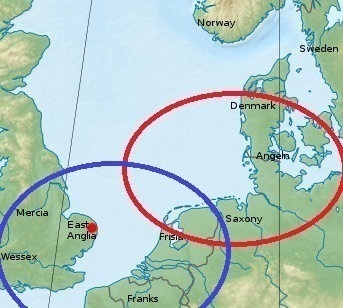 We need more ancient DNA from Anglo Saxons, Angles in Schleswig Holstein, Frisians, Iron Age South-East British, South-East Romano-British, Franks, Old Danes, and others if we are ever to sort this out. 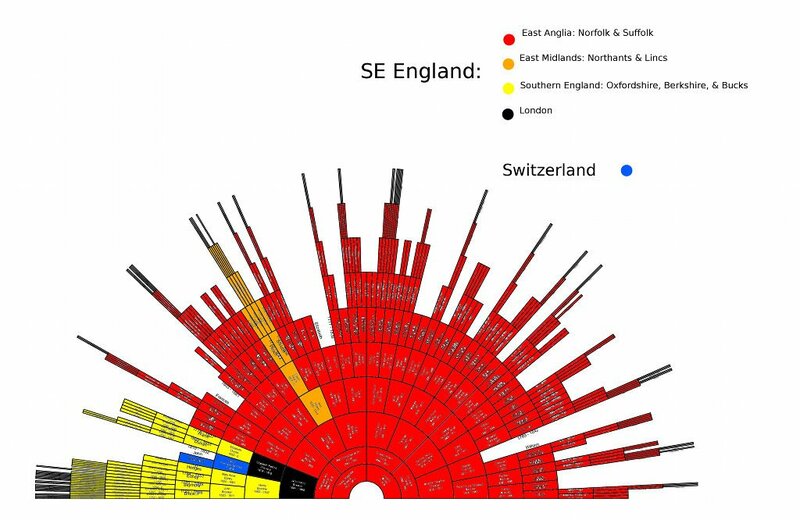 And we need more South east English of local recorded ancestry to DNA test, and to take an interest in population genetics. 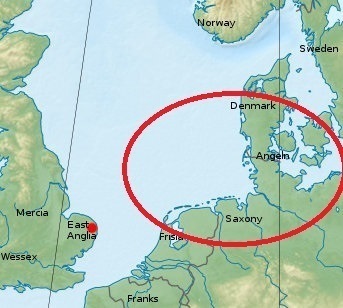 Until then, I will postulate that on top of that red circle (Denmark, Northern Germany) - we South East English have more ancestry from that blue circle (Netherlands, Belgium, and North East France), than is popularly assumed.